Summer is almost here and many people have started planning for their yearly family getaways. While there a lot of vacation options that have become popular over the years, going to the beach has always been the most preferred activities for Filipinos. However, having a great time under the sun has also evolved into something more fun and engaging. 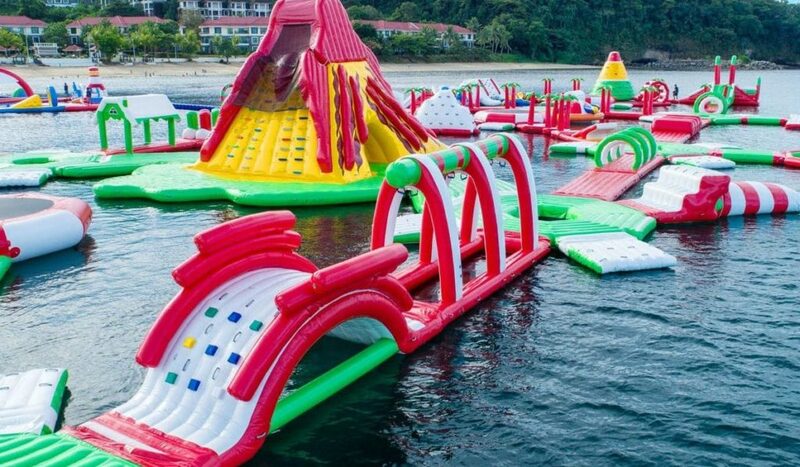 Aside from just sunbathing, swimming, snorkeling, or building sand castles, there is an emerging concept that is slowly making its way to mainstream traveling: spending your summer at a floating water park. If you have no idea what a floating water park is or if you’ve already read about this new adventure online, this article will help you start arranging your travel itinerary for this year’s vacation. Here are the best floating water parks in the Philippines that you should visit at least once a year. 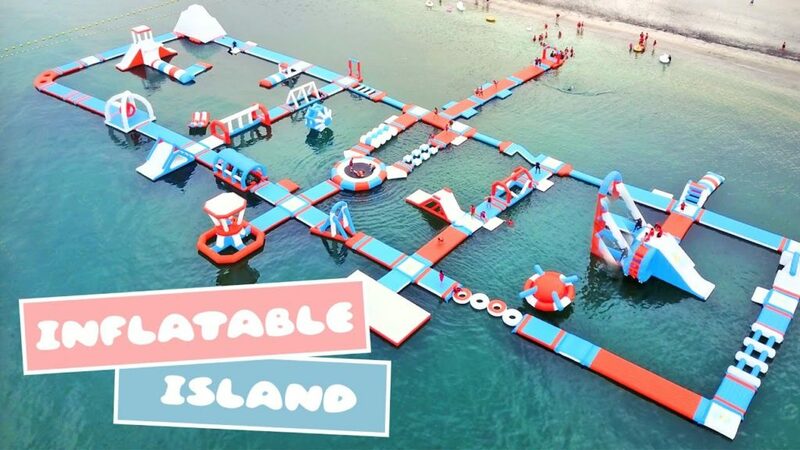 Inflatable Island is an awesome travel destination that you should check off your bucket list. 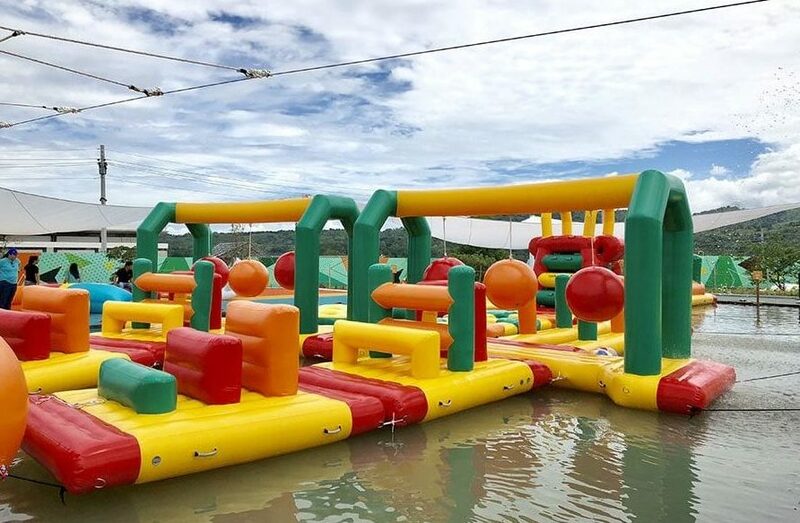 Bring your kids or the entire gang to experience a literally floating playground located in one of the country’s prime destination, Zambales. The area is over 4,100 square meters and it offers a variety of inflatable structures such as swings, towers, bridges, slides, as well as human launchers. It’s a destination that will give you a unique experience and will surely make you feel like a child again. Run, jump, dive, slide, swim, and be creative! 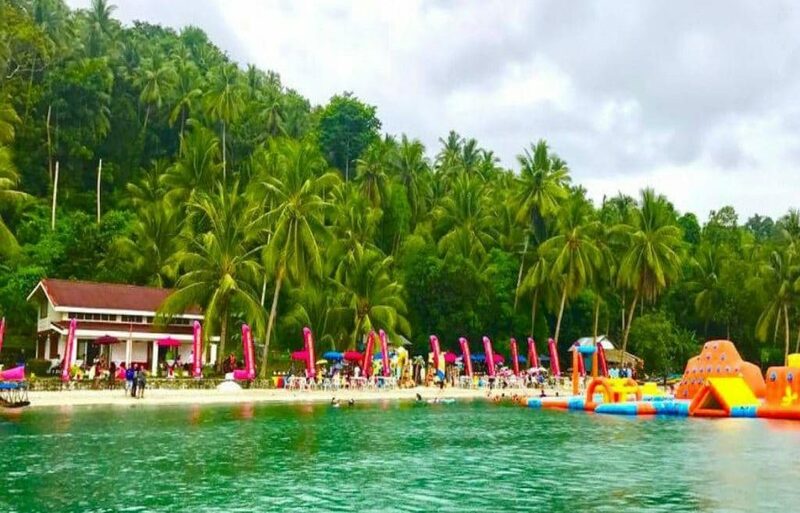 Aside from the underground river boat road and the island-hopping adventure, Puerto Princesa in Palawan has something new to offer: an inflatable aqua-adventure. 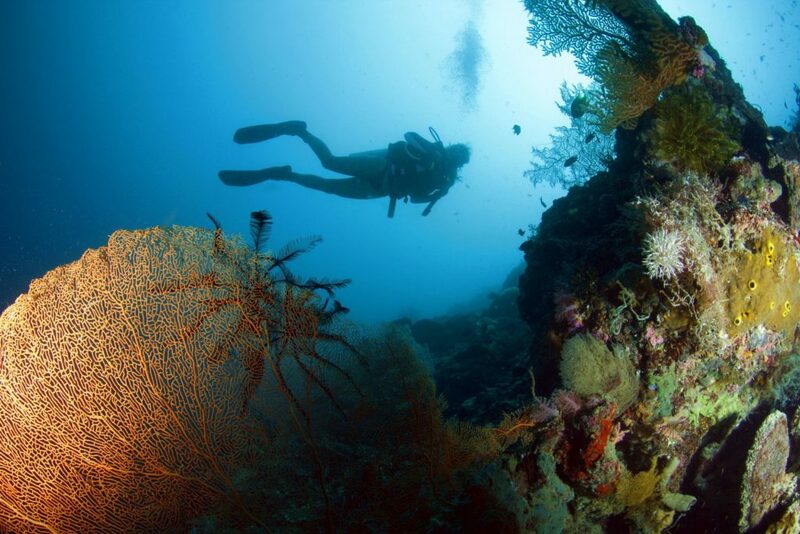 The venue offers several packages that cover exclusive access to many activities and adventures. Eco tours, buffet lunch, round trip transfer, and many more can be availed depending on the package that you have chosen. Additionally, the packages can either offer limited or unlimited use of the facilities within the inflatable water park. 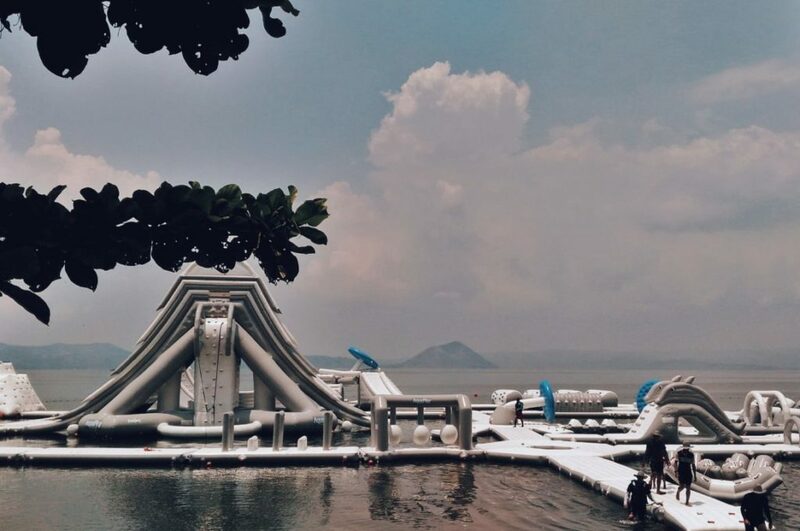 Club Balai Isabel’s Aqua Park is an all-white haven for beach lovers and adventure seekers. 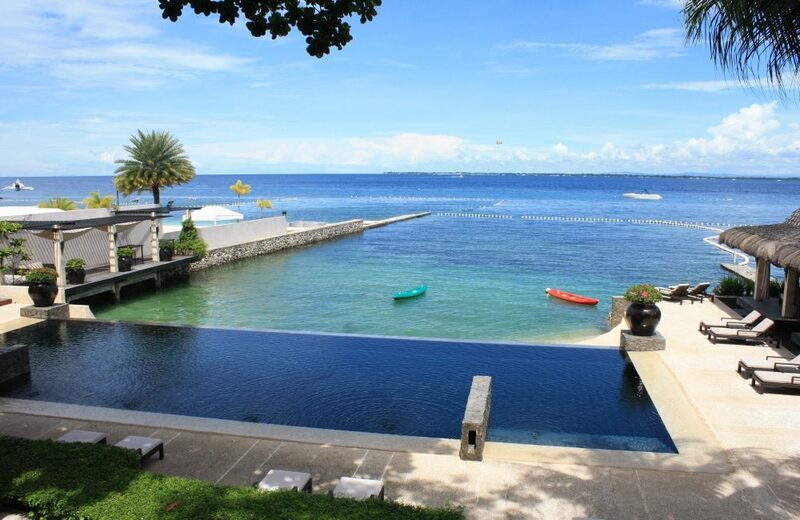 Located in Batangas, a 2-hour destination from Manila, it is one of the best places to enjoy your family vacation. Why? Imagine having a full panoramic view of the Taal Lake and its relaxing waters? Whether you are just a walk-in guest or a checked-in patron, you can easily have access to this floating island park. There are basic rates per hour and if you want your lunch and snacks to go with the experience, you can pay an additional fee and everything will be there. 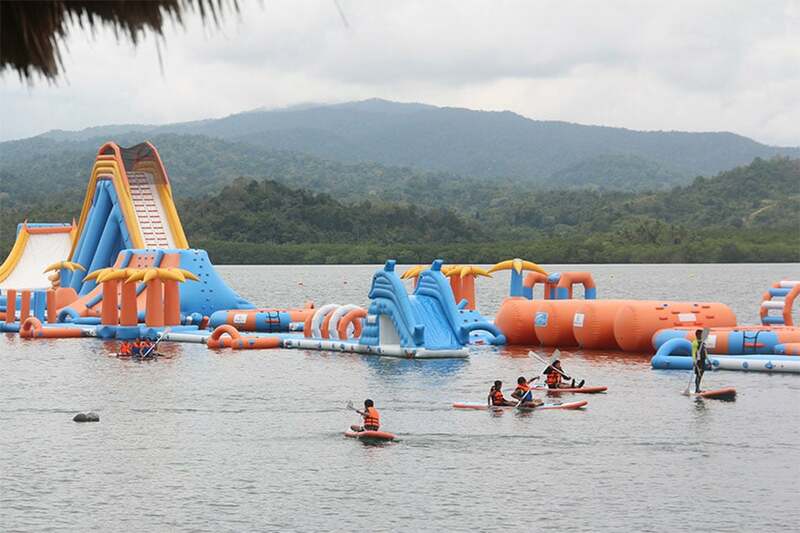 Another floating water park destination that can be found in Batangas is the Waterpark Adventure Philippines. The location has a festive theme that celebrates the tropical colors of red, green, and yellow. The most unique structures are the inflatable palm trees that can be found scattered around the area. Aside from just chilling and enjoying this floating wonder, there are several activities that your family can choose from, including kayaking, snorkeling, free diving, jet ski ride, jetovator, skimboarding, and a lot more. If you’re into water sports, you can take a ride at their for-rent jet skis. Sports enthusiasts can also take part in a literally larger-than-life experience with its Giant Volleyball. For weekend warriors, you don’t have to worry about the safety of your valuables. The management provides beach locker rooms at reasonable rates. Additionally, shower rooms are also available. Want to add more thrill to your summer adventure? Then SandBox’s Splash Tub is the place for you. 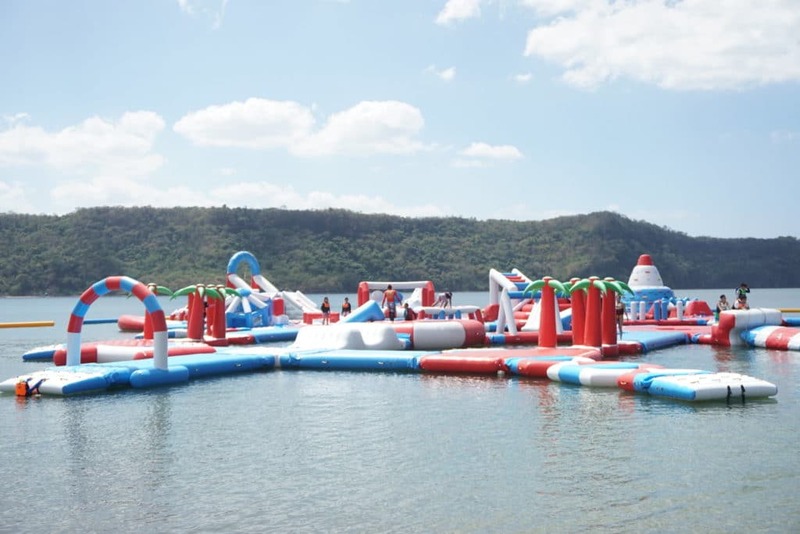 The area is a 1,200 square meter floating obstacle course that will surely challenge your sense of adventure and competition. The destination is meant for a group of friends or even perfect for team-building activities. For multiple groups seeking adventure, join the Aqua Dash, a race that is lined with obstacles and inflatable terrains that can test your speed, agility, wit, and stamina. There are a total of 11 obstacles that highlights a Challenger Course (for adults only). Included in it are the Ball Traverse, the Wreckers, the Over and Under, and so much more. For kids, there are also available water courses that are designed to challenge and entertain. If you are in the central part of the Philippines in the Visayas region, Buri’s Inflatable Water Park has a lot to offer especially if you’re looking for a fun and not so expensive summer getaway. Having some thrilling activities on its giant slides will lead you into its clear waters. Trampolines at the water park will both excite and elate you, no matter how young or old you are. If you want to have some cool and unique photos for your Facebook or Instagram accounts, there are floaties or floating structures (gigantic donuts) that are perfect to add some fun and colorful elements to your shots. Other activities that can be availed here are banana boat rides and Zorb balls rolls. For just 199 pesos, you can have the best of what this destination can offer. For a fun Zorb ball experience, 15 minutes will just cost you PHP 150 (rates as of 2019). Whether it’s for a big family outing or for corporate team-building activity, MB Cover in Batangas can give everyone an adventure-filled summer experience. The venue is a 4,000 square meter resort that is home to an inflatable water park with facilities and structures designed to help bring out the adventurous side of everyone. For guests from Manila and nearby cities, the area can be reached through public transport or with a private car. Parking areas allow a safe and secure place for your vehicles. If you want to explore more places during your vacation, note that this place is just conveniently located just 48 kilometers away from Tagaytay. 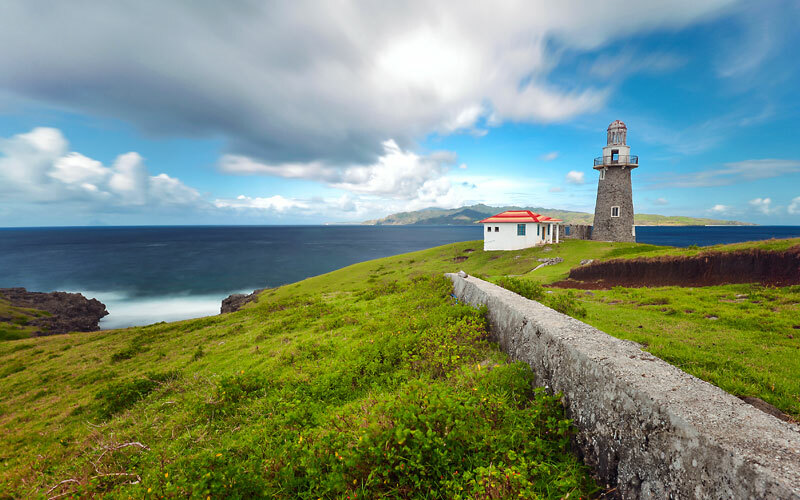 Hopefully, these places can give you an idea of the new and latest summer getaway escapades with your friends and family. Have fun and have a great time! Nothing beats the good-tasting broth and soft and chewy noodles of ramen. Its hearty toppings, be it pork or beef, allow food lovers to taste and experience the uniqueness of Japanese cuisine. The heat of its broth comforts us after a long and busy day, giving us what we truly desire–a warm bowl of flavorful soup and noodles. 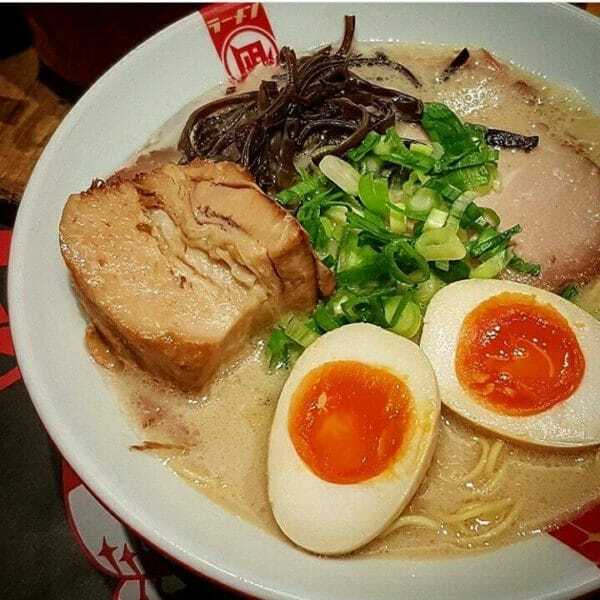 However, a bowl of ramen in the Philippines is usually expensive because of its imported ingredients. There are budget-friendly restaurants in Makati and in other cities that can satisfy your taste buds without spending much. 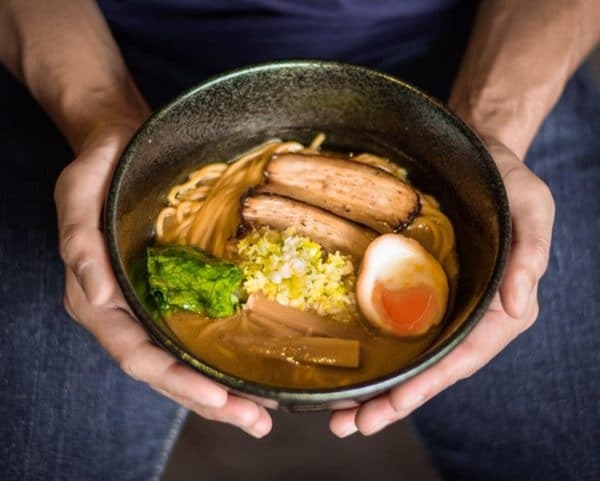 Here are 11 affordable ramen dishes in Metro Manila that will definitely reward you the oishī palate. Ippudo’s tonkotsu ramen may lack color and presentation, but wait until you taste its broth and noodles. It’s only then you can say that their Shiromaru Motoaji cannot be judged by its look. Ippudo cooks their classic Hakata-style ramen broth for 15 hours to bring out its rich flavor. 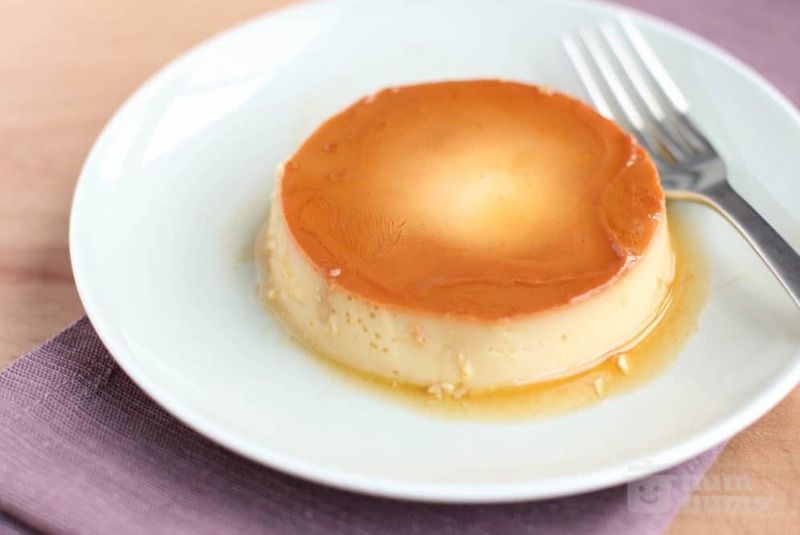 It’s topped with chasu, a Japanese pork belly that’s boiled and stewed for over two hours. The noodles are ultra-thin but perfectly firm and are made daily. The signature Tongara Ramen has a sweet taste because of a special broth called tongara that’s made of chicken and pork bones simmered for hours. It’s topped with a soft-boiled egg and bamboo shoots. It’s a feast in your mouth once you taste the tongara, consume the fresh wheat noodles, and take a bite of the succulent pork belly. Ramen Nagi’s Original King Butao is best consumed when you’re hungry. 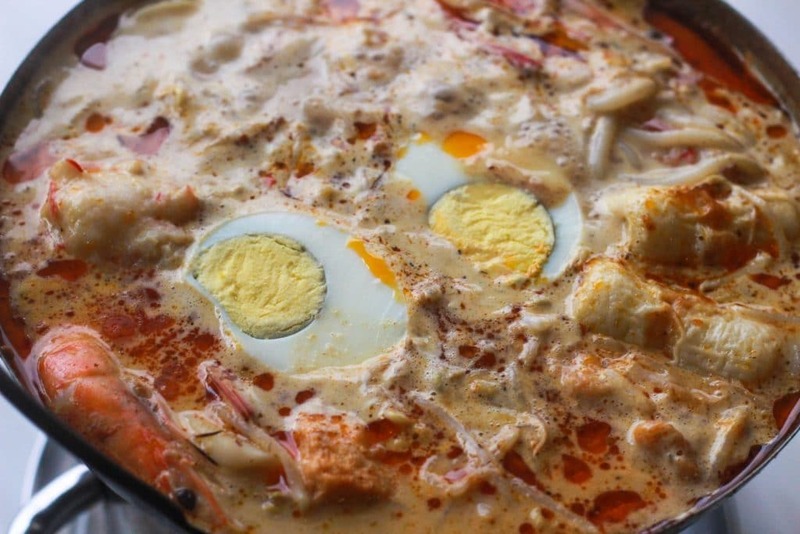 Served in a large bowl, its flavorful and creamy broth is cooked for more than 20 hours. 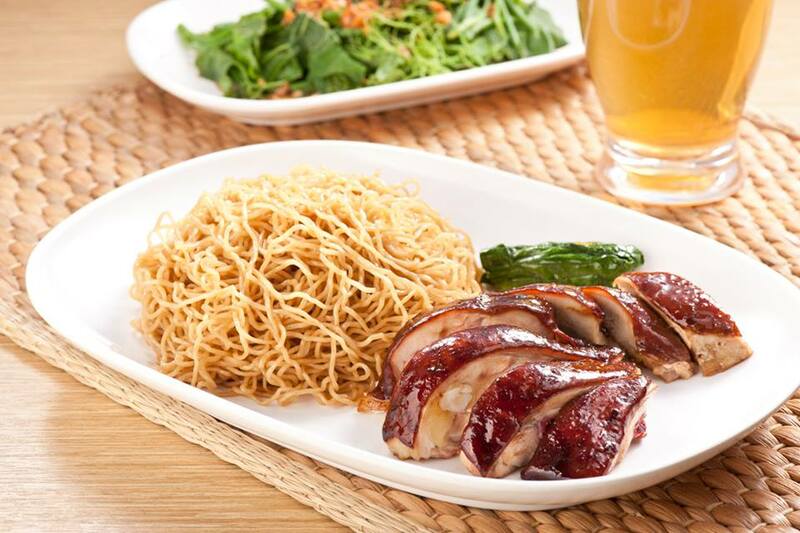 Enjoy it with its handcrafted noodles and char siu, a kind of pork barbeque. 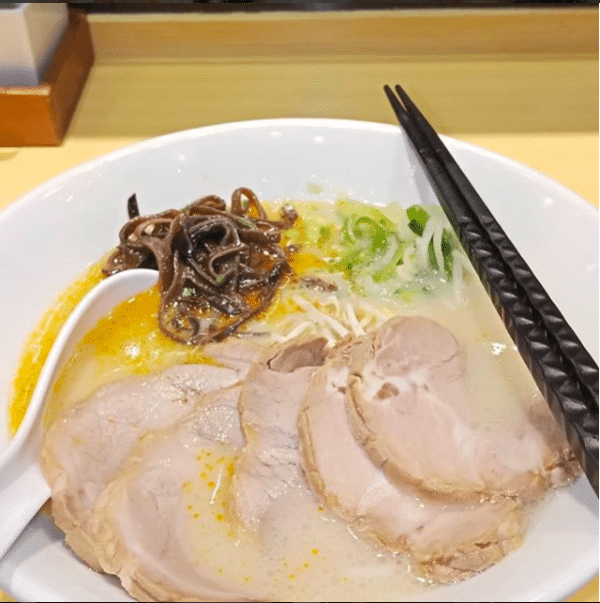 Crowds love Ramen Nagi as you can customize your order to your desired palate, garlic (from none to extra heavy), pork (shoulder or belly), and spiciness level. 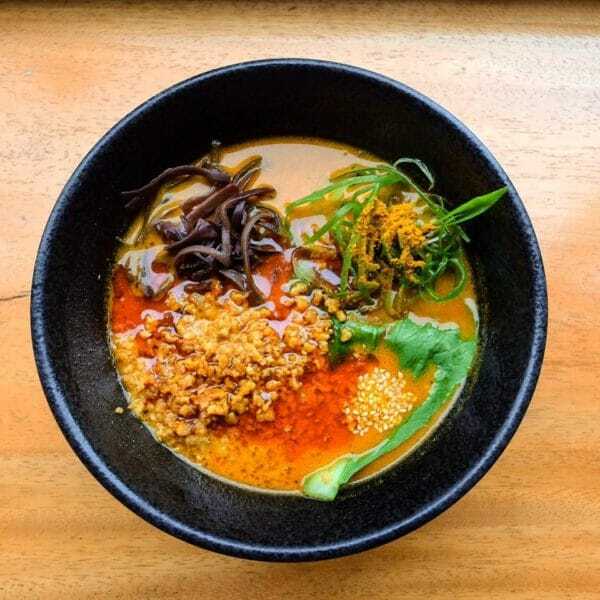 Fuel your taste buds with a spicy ramen challenge as this Volcano Ramen from Takashi Japanese Cuisine will determine your tolerance for spicy food. Warning: Its fiery red broth and noodles will set your tongue in fire. But, don’t worry, you can still control the spice levels by choosing from five spice preferences. 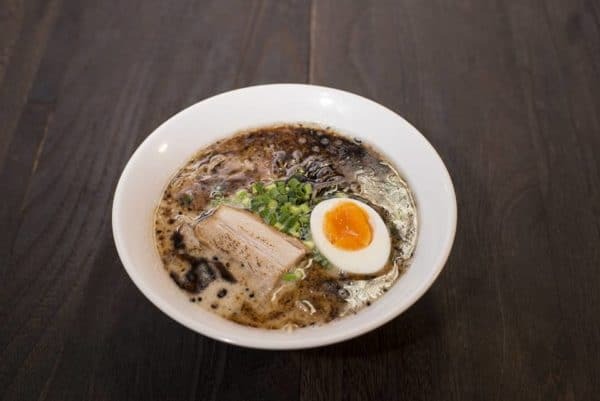 Ramen Daisho’s Hakata-style tonkotsu ramen reveals a secret sauce–a thick broth that comes from ukkokei (black) chicken. Together with a handful of thin and silky noodles, chasu, soft-boiled egg, seaweed, and bamboo shoots, this dish for less than P500 will complete your whole ramen experience. 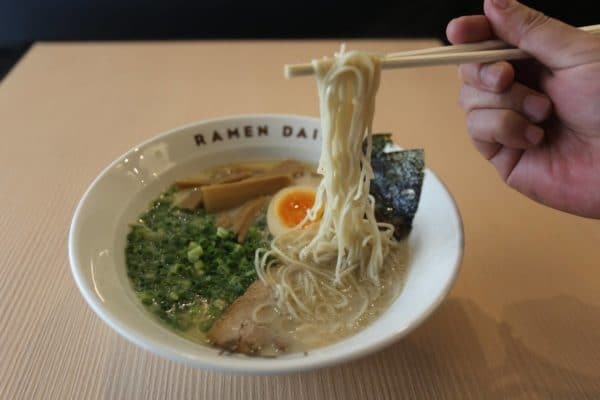 The restaurant’s authentic home-style Japanese ramen recipe is primarily made of freshly-cooked pork broth. 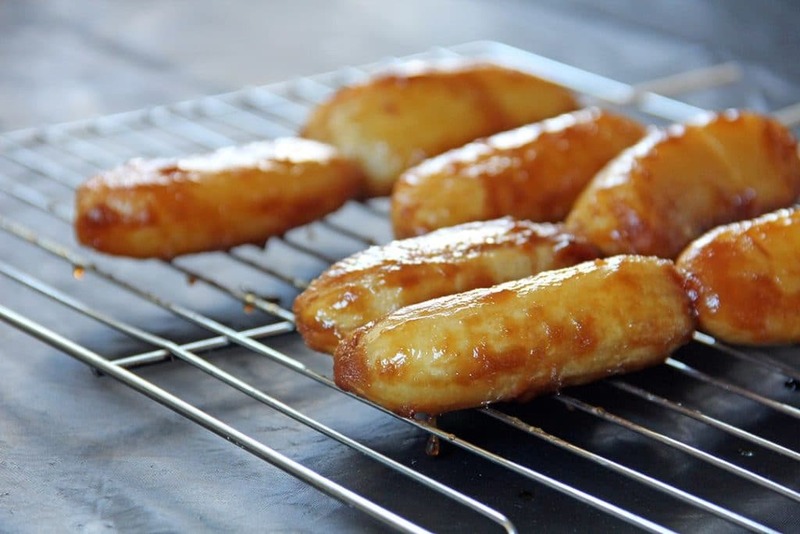 Once served, you’ll experience a layer of oil produced by more than 20 hours of simmering. The starchy noodles add flavor to the soup. A bowl of Kuro ramen is a thumbs up if you’re on a budget. 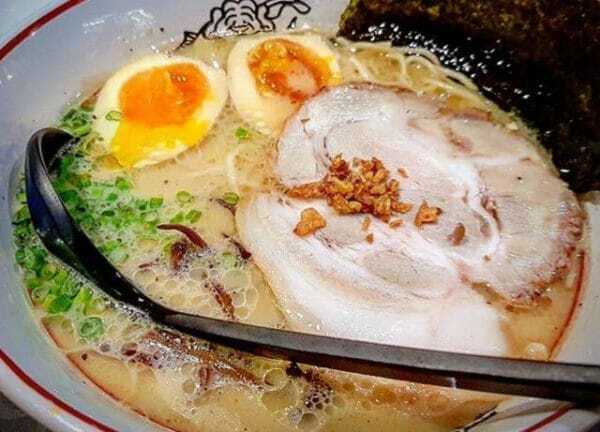 For less than PHP 200, Kuro Ramen can match the flavor of popular ramen brands. Its noodles are tender and firm, just like what you’re looking for in a bowl of ramen. 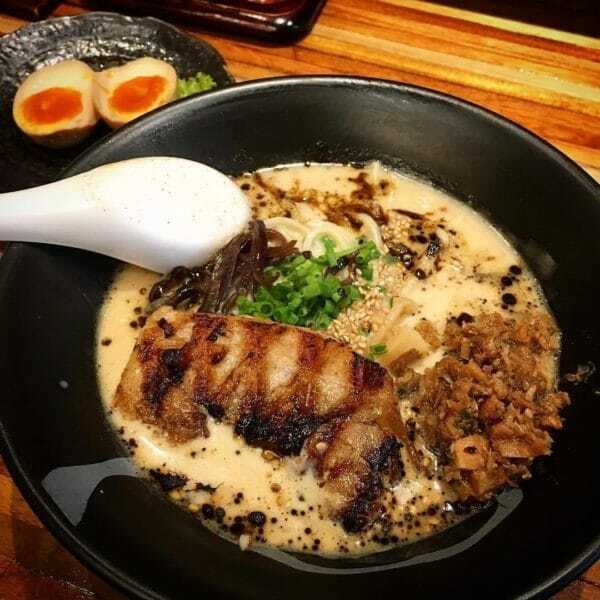 Its rich, smoky tonkotsu broth with roasted garlic prove that it’s a must-try for ramen enthusiasts. 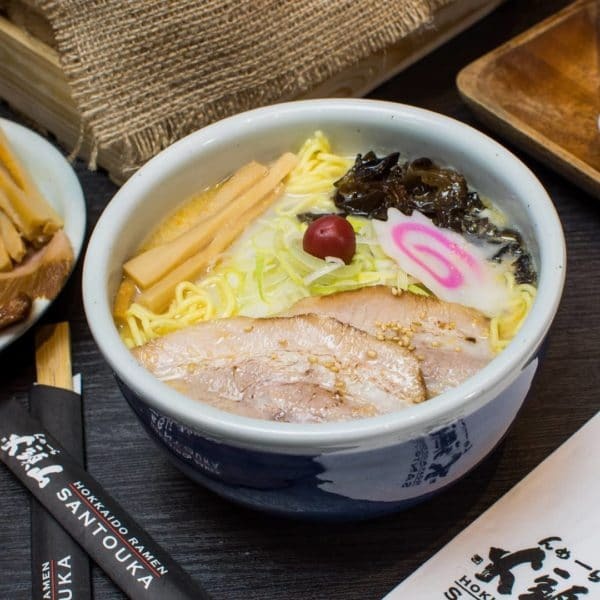 Ajitama Tonkotsu’s signature ramen bowl is everything you wished for in a bowl of ramen: full-flavored broth topped with a hard-boiled egg seasoned with Ikkoryu’s own blended soy sauce. Taste the wholeness of oishī flavors for less than PHP 500 with this dish. 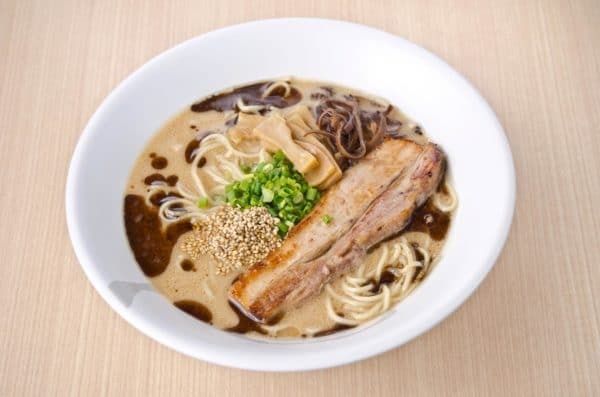 Shoyu Ramen is a soy-based tonkotsu ramen with tender pork slices. Before digging in, watch chefs prepare your food at their open-kitchen setup. When dining in, expect a long line as the restaurant can only accommodate approximately 20 customers. Curry Tantanmen is made of a spicy curry broth with peanuts and sesame sauce. Butamaru broth is cooked for 16 hours, releasing a strong yet delicious flavor. 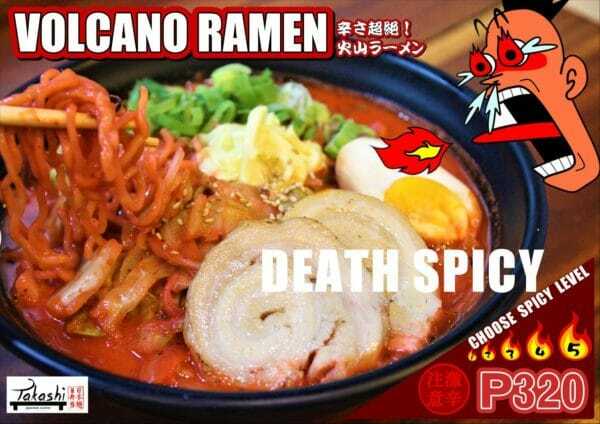 The ramen has spiciness levels you can adjust according to your preference. Ramen Yushoken offers a bowl of tasty ramen that’s not too heavy for the light eater. Shoyun Ramen comes with a smoky broth with a chunk of grilled char siu that adds a rich taste to the dish. Apart from the flavors, these bowls of ramen invite you to enjoy the experience with your family and friends. Treat yourself and bring your loved ones to the next ramen trip of your choice. Food is one of those things in life that can easily bring together a group of strangers and turn them into a party of friends. In the Philippines, eating and drinking is a part of its culture of camaraderie and friendship, strengthening bonds and even rekindling lost connections. That is why, regardless of the occasion and no matter how small or grand the celebration is, everyone’s favorite Pinoy and foreign dishes will always be present. While many Filipinos in the province are used to cooking and preparing a feast at home, residents living in the country’s biggest cities don’t have the luxury of time and space to accommodate a hungry crowd. The great thing is, there are different food spots and dining hubs where they can equally have a great time. 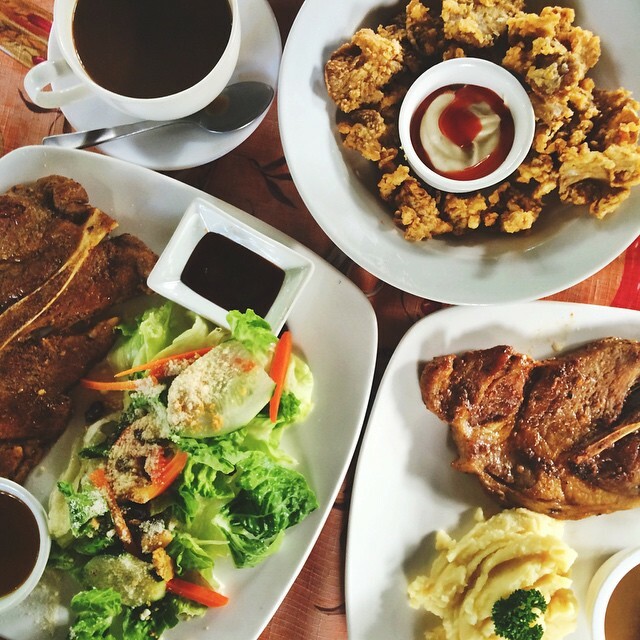 For every type of celebration and a wide variety of cravings, there are restaurants in the Philippines that can offer the best dining experience for family and friends. Aside from a wide selection of dishes and an enthusiastic wait staff, the following restaurants can offer something that a typical food place doesn’t have: privacy and exclusive customer service. If you want to experience Old Manila, Casa Roces is the perfect place to dine and just reminisce the past with your friends or family. The restaurant used to be a heritage house, but this is not the only reason why this place is a rare find. 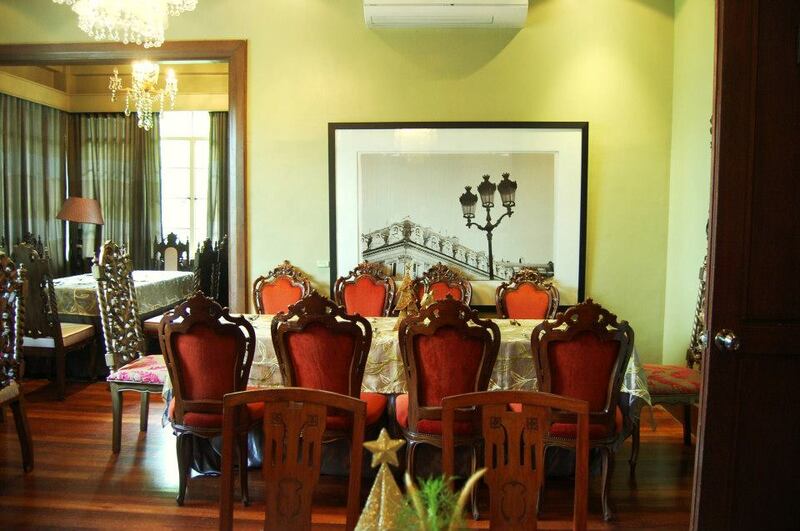 Casa Roces is open daily from 8AM to 10PM and is situated at 1153 JP Laurel corner Aguado Street, San Miguel, Manila. For one, Casa Roces is actually located within the compounds of the most powerful house in the country: Malacañan Palace, the residence of the Philippine president himself. Secondly, aside from the native-themed menu, there are available function rooms on the second floor of this beautiful restaurant/café. All these rooms are named after the country’s past and present news publications: The Tribune, La Vanguardia, The Manila Times, Liwayway, and The Daily Mirror. Some rooms can accommodate 20 people and others have the capacity to entertain 6-15 guests. The prices per room will vary. Baked goods and pastries aren’t the only things in the menu of this famous Wildflour Café Rockwell branch. Among all its partner stores around Metro Manila, this particular location has an upper floor where guests can reserve in advance. This private room can accommodate a maximum of 35 people, perfect for a birthday party or a baby shower with the entire family. For a more private experience that involves only an intimate number of guests, Wildflour also has smaller private rooms in its other branch at the Bonifacio Global City (BGC) in Taguig. What’s on the menu? American, Korean, and other western and eastern delights are served in this charming café. You can check out their complete menu online to know more about what they have to offer. 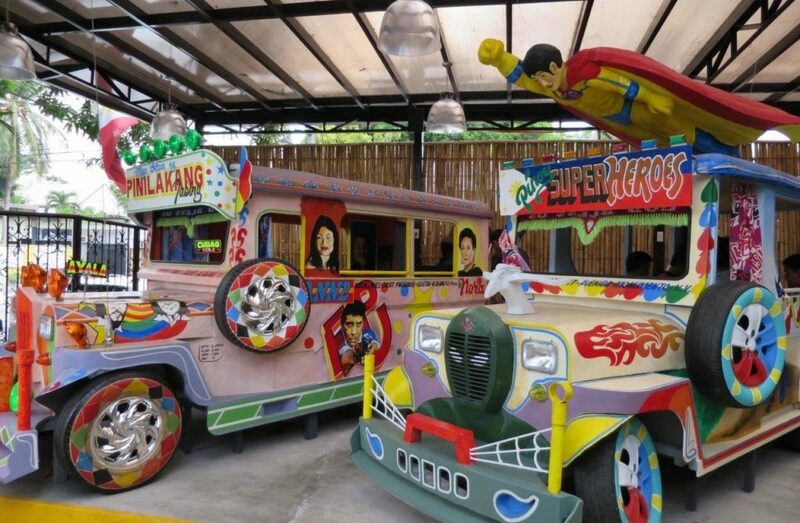 For a less formal event that requires a unique, cultural experience of the past and present Pinoy culture, Gerry’s Jeepney is what you are looking for. So what is so special about this place? It offers one of the most genuine and unique private rooms in the Philippines. Dubbed as “The Jeepney”, it literally promises what it’s named after: a full experience inside an actual-but not moving- Filipino commuter jeepney. 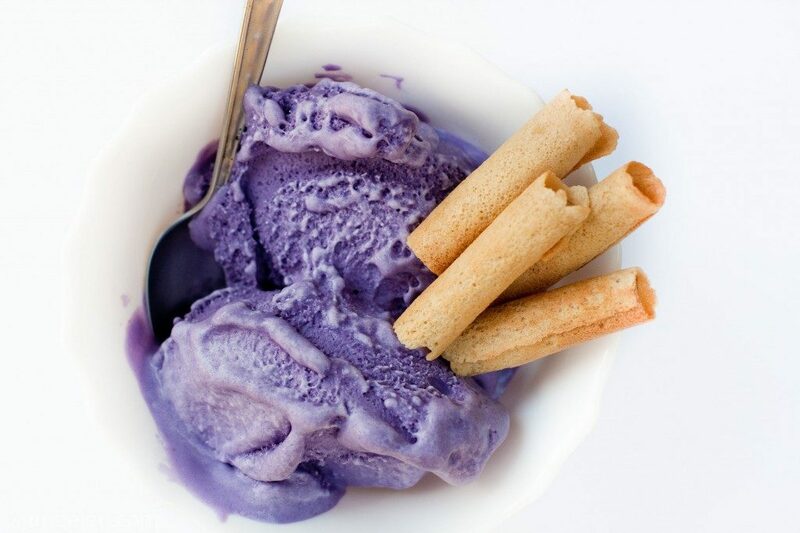 The food and the theme are centered on the owner’s love for the masa or lower class, celebrating the simplicity and authenticity of a truly Filipino gastronomic experience. While waiting for the boodle feast (the Filipino military style of eating meals in which all the dishes are laid out on a freshly cut banana leaf), guests are provided with board games to make the experience more fun. Each private room, a.k.a. private jeepney can accommodate eight people. This place has become so popular that booking a reservation beforehand should be part of your plan. Not all the best private dining restaurants can be found in Metro Manila. In fact, if you’re a true foodie, you would know that there are a lot of rare and unique restaurants around the country, many of which are located in rural and less-urbanized areas. And one of them is Antonio’s in Tagaytay. If you were to ask food critiques, Antonio’s is probably one of the best restaurants not just in the country but also in Asia, and this is the reason why it’s a special place for true foodies, celebrities, and international food bloggers. The place is strictly by reservation, with operating hours that start at exactly 5:30 in the evening. Additionally, the restaurant implements a smart casual dress code, even for younger guests. 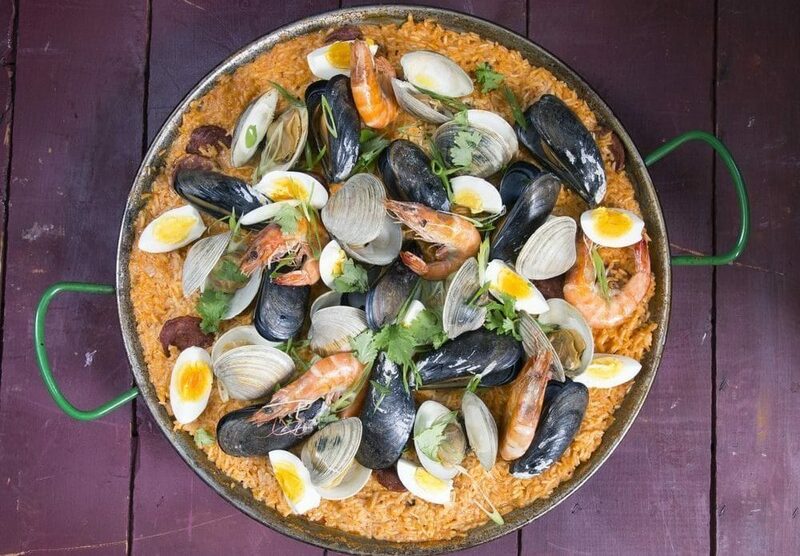 The location has private venues for exclusive gatherings, but even if you can’t book these spots in advance, dining in this Spanish-inspired gastronomic haven is a gift in itself. What’s on the menu? 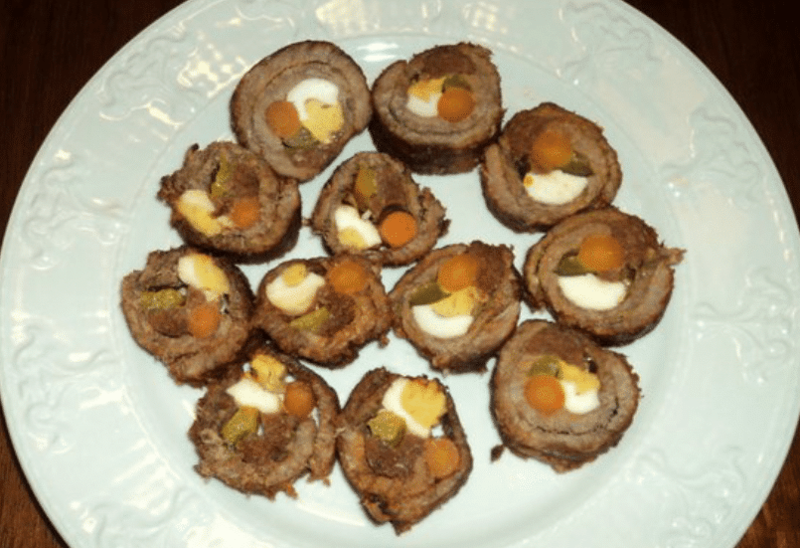 Antonio’s set menu includes a full-course meal of delectable tastes inspired by the classic and traditional flavors. 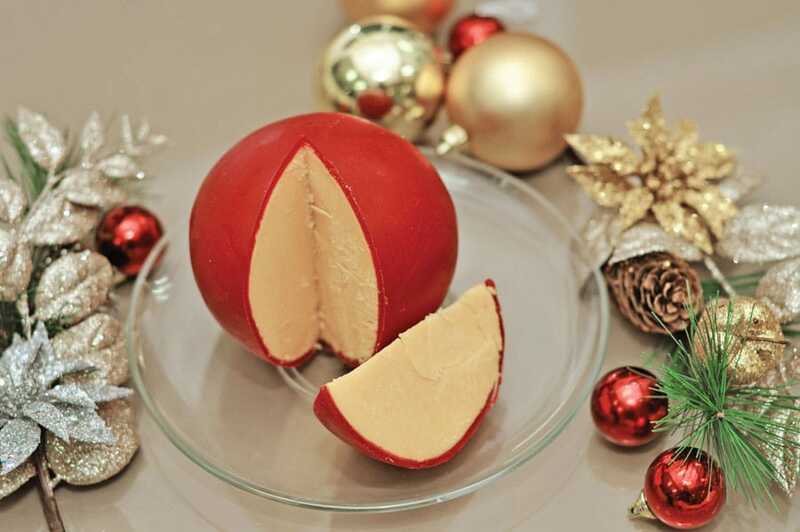 Here, food is consumed not just as sustenance but as a surreal and one-of-a-kind culinary adventure. This unique restaurant may not fit the definition of “private dining” but the experience itself, depending on your taste for adventure, can be both interesting and bizarre. Why? 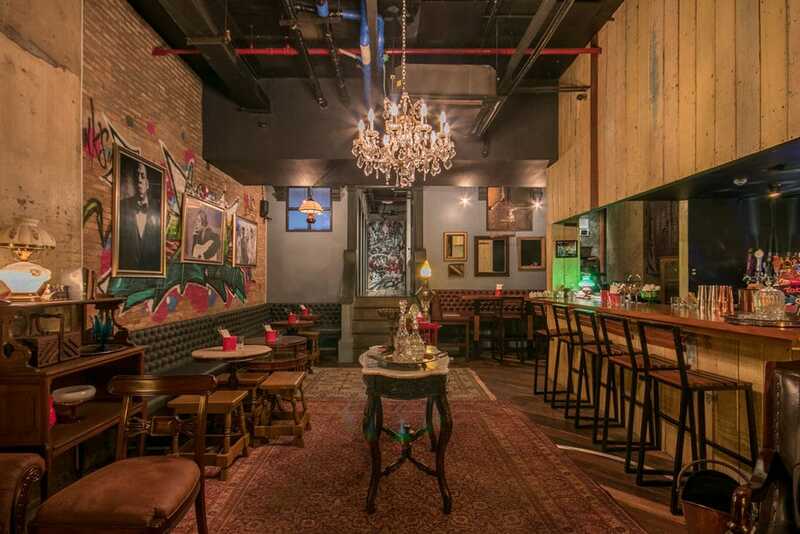 The theme of this culinary spot is actually inspired by a typical prison. Yes, you read that right. 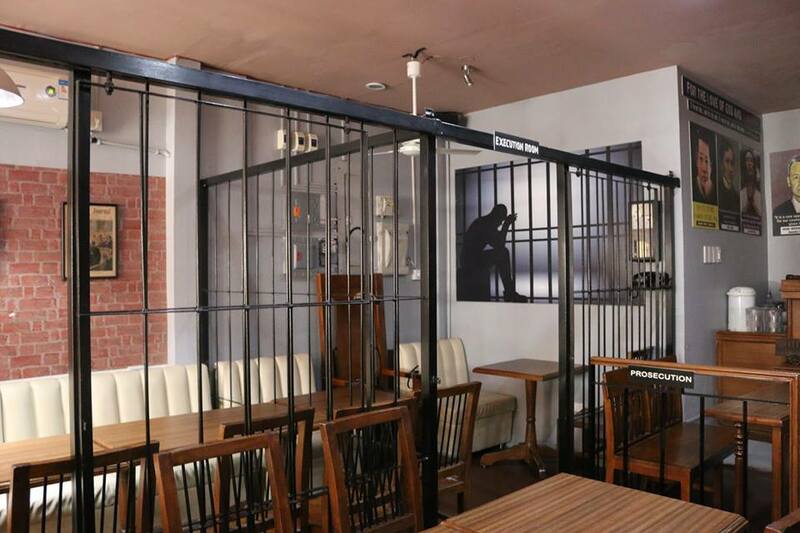 Café Piansa is an Italian restaurant that has jail cells as its semi-private rooms where guests can dine in and be imprisoned in the flavors of what this unique place can offer: delectable flavors of steaks, pasta, and other dishes that truly fit the definition of a perfect final meal. The restaurant is not for the faint of heart as it can be quite intimidating to anyone who is afraid to try new things and experiences. A full view of the place reveals prison bars enclosing several tables, and other portions of the building reveal an execution chamber with an electric chair to complete the ensemble. These are just a few of the many unique restaurants in the Philippines that you should visit soon. Hopefully, this article has helped add more entries to your bucket list. Remember that if you want to truly experience the Filipino culture, don’t be afraid to open yourself to the most genuine and even the most bizarre culinary experience out there. Bon appétit and have a great time! There are over seven thousand islands that make up the Philippines but only a few of them are popular with travelers. This is because, for decades, only a few locations have made it to the list of top travel blogs. The reason, however, is not because these common destinations are the only ones that the country has to offer. In truth, the archipelago is dotted with hundreds if not thousands of destinations that can cater to any type of traveler. Hiking, mountaineering, spelunking, diving, caving, food-tripping, you name it! The Philippines is home to a wide variety of activities and a long list of locations perfect for that memorable getaway. This article enumerates some of the most unnoticed and unmentioned places that everyone must know. Here are the most underrated Philippine destinations every traveler should visit. 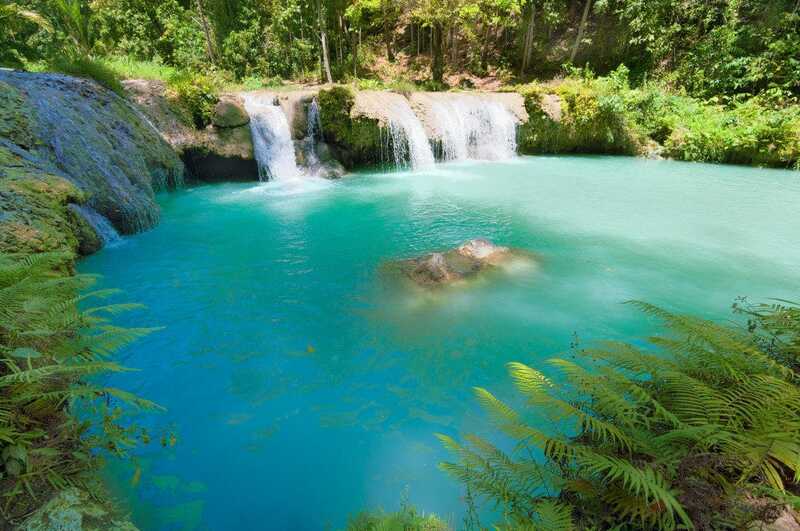 Located in Bicol, Sorsogon is one of the country’s underrated provinces especially when it comes to traveling. While many provincial buses cruise along its major highways, only a few people take time to stop and notice the region’s untouched beauty. Unbeknownst to everyone, Sorsogon can be an ideal destination for beach and nature lovers. 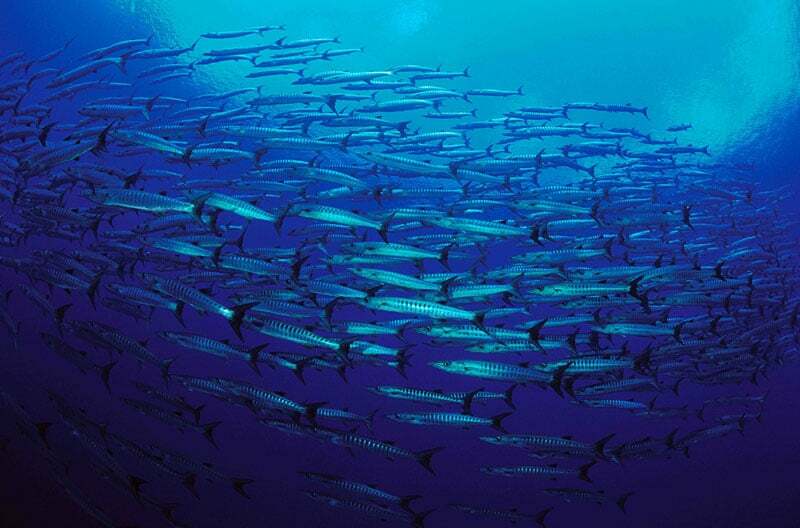 In the region, fishing is one of its major industries, with a wide variety of fish products coming from nearby fishing towns and islets. 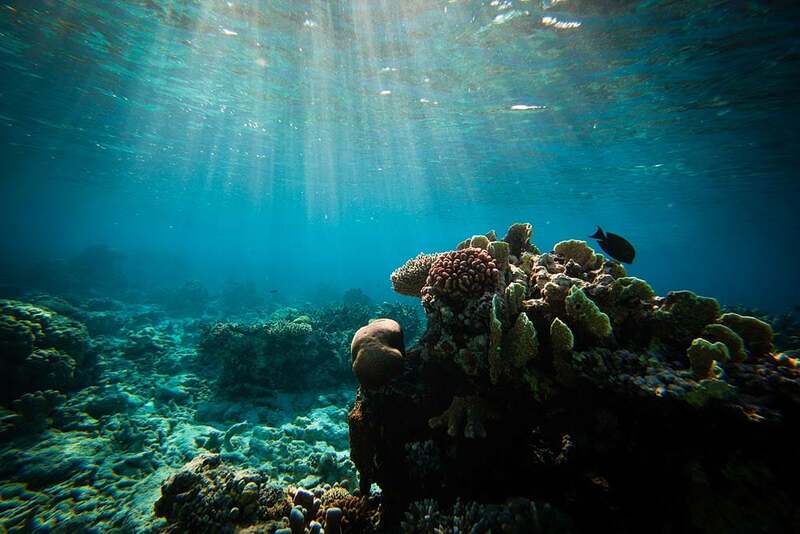 This proximity to the sea does not only give its people livelihood; it also gives locals and tourists the access to the major beach spots such as Tikling and Subic Beach Rizal and Dancalan Beach, among others. 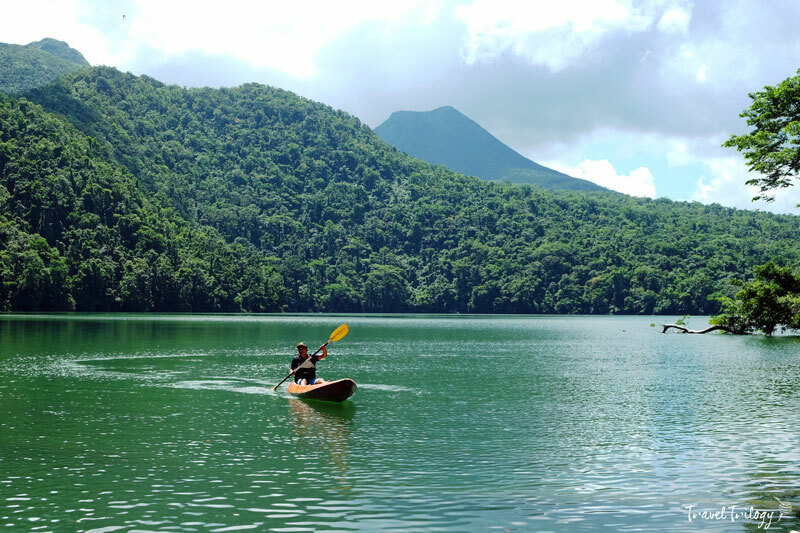 Additionally, the province sits adjacent to mountains and hills, and one of its mighty landmarks is great Mount Bulusan-and volcano riddled with lakes and relaxing hot springs. 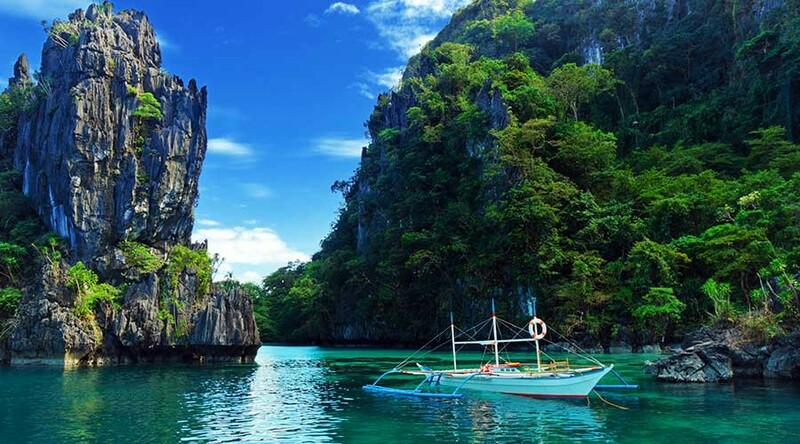 Samar is located in the eastern part of Visayas and is one of the biggest island-provinces in the Philippines. The region can be reached via air and land travel, and it requires a medium level of backpacking experience in order not to be overwhelmed by its challenging logistics. However, even if Samar is a relatively remote location, it’s one of the most beautiful islands in the country and can even compete with Palawan’s blue waters and sandy shores. 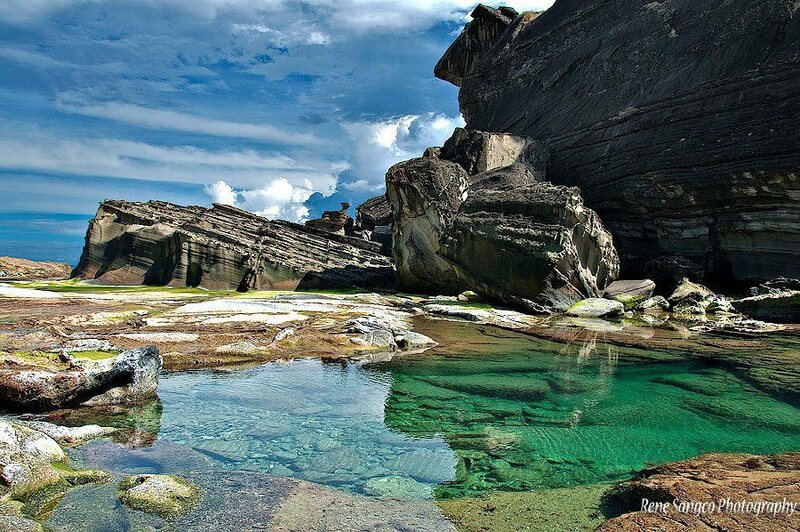 Samar Island offers the biggest cave systems in the country, including Langun Gobingob cave in its western forests. 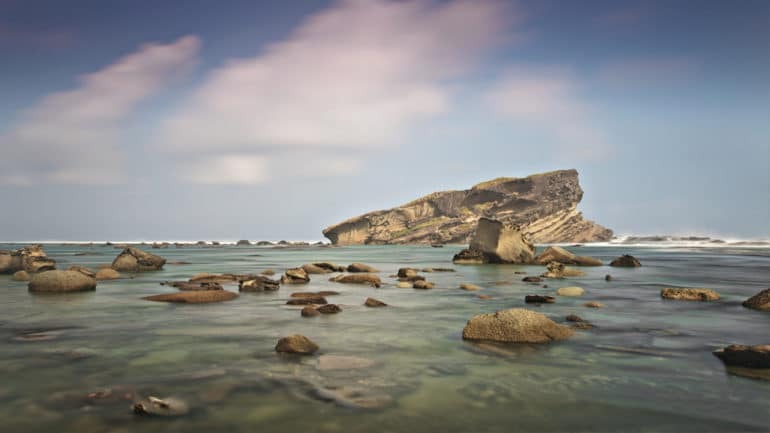 Pink sand beaches are also found in the northern part of the island, as well as the newly-discovered Biri islets. On the eastern region of Samar are endless shorelines of black-sand beaches and pristine waters. Additionally, a few hours ride to Guiuan is the island’s surfing capital where local surf camps are located. If you ask Filipinos about what comes into mind when they hear the word “Siquijor”, they would say witchcraft and mysterious beings. Indeed, the place has not been a popular destination for travelers since the myths of scary monsters and man-eating aswangs have been attached to the province’s name. However, many who of those who gave this province the benefit of the doubt was welcomed by the region’s most stunning sights and it’s not too late for you to take the same road in your next trip. Indeed, the place can be described as enchanted, but for a good reason. 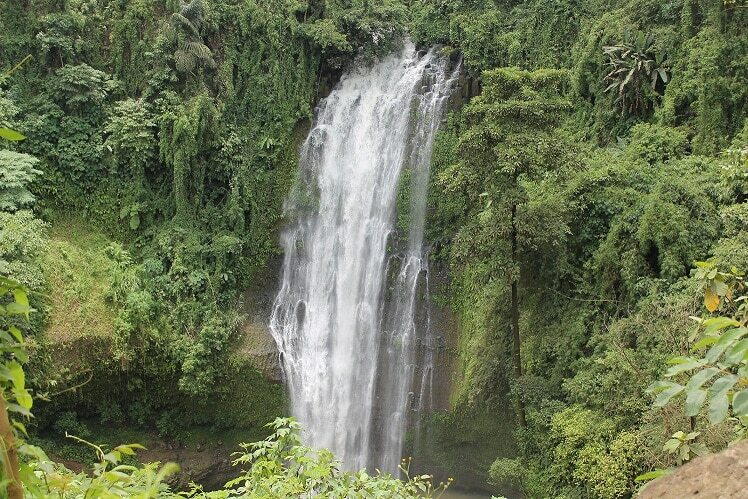 The islands are home to the country’s most mesmerizing waterfalls such as the Lugnason and Cambugahay falls. Additionally, it boasts diverse marine sanctuaries and beach fronts such as Tulapos, Tubod, Kagusuan beach, and Guiwanon Spring Park. Lastly, the mystic region is the sanctuary of what locals dub as the “Old Enchanted Balete Tree”. In Philippine myths and legends, the balete tree is an enchanted place where nature spirits and mountain maidens live. Many say that it is a gateway to a supernatural realm. 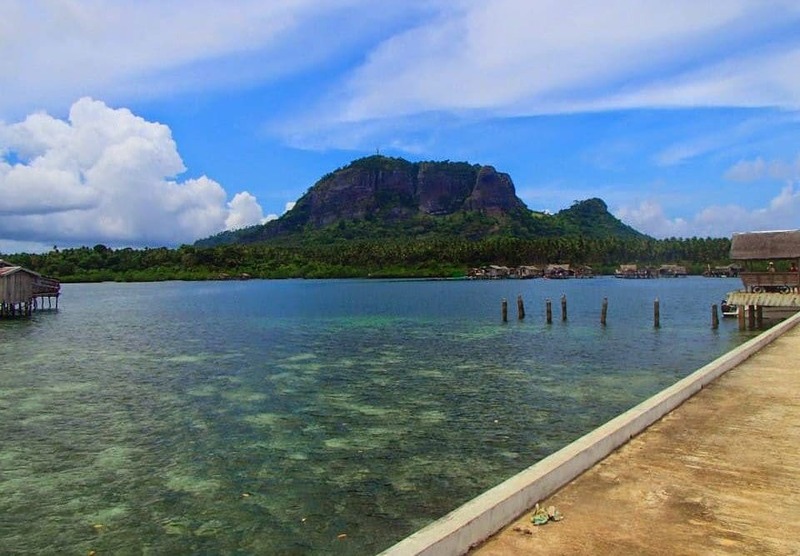 Another beautiful island province is Tawi-Tawi found in Mindanao and is located in the southernmost region in the country-basically it sits on the tip of the country. A visit in this province will reveal its close ties to Islam and Muslim culture, thanks to its proximity to Malaysia and Indonesia. The place is rich in culture and tradition its sceneries are breathtaking, but you can’t see Tawi-Tawi in most popular travel blogs. 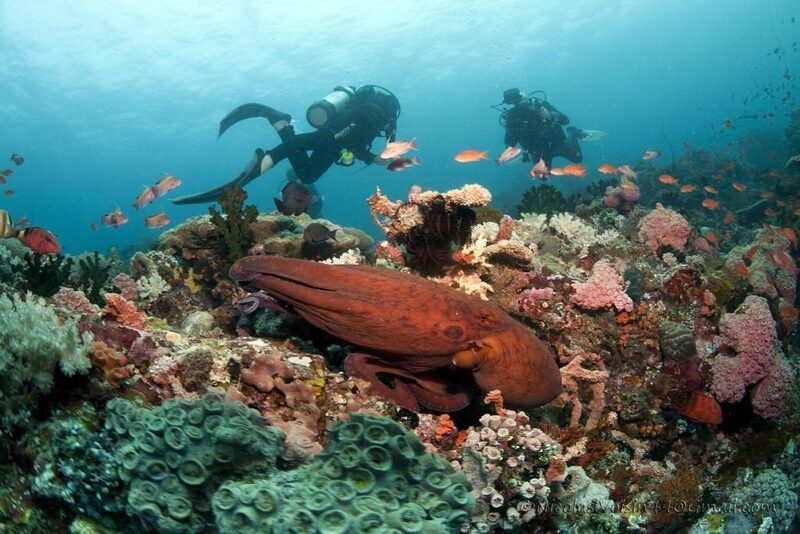 For instance, Bongao, its capital, offers a truly spectacular view for all who dare to explore its center. 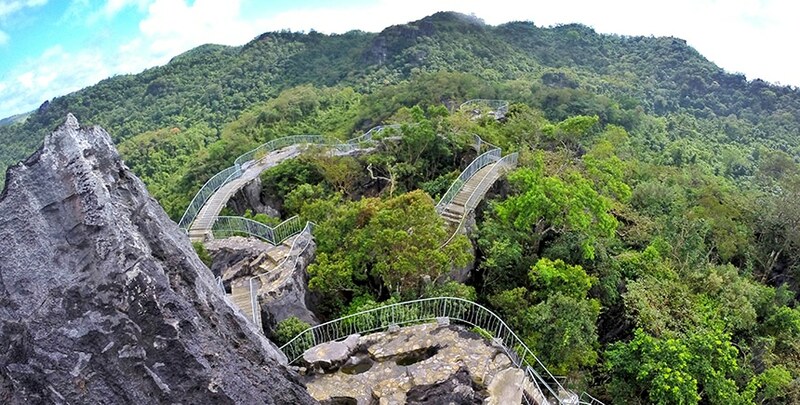 A quick hike to Bongao Peak, the island’s highest peak will give you a 360-view of the whole island. In front of you will be wide blue ocean and a truly magnificent view of the horizon. Simunul, located in the southeast part of Bongao, may not have the beaches and stunning seascapes that Bongao Peak has to offer, but it has something very special: the Philippines’ oldest mosque and a National Historical Landmark. It was in 1380 when Sheik Karimul Makhdum set the foundation of the very first mosque in the country. Originally, the structure of this holy place was made of wood as well as other light materials. However, after 500 years of existence, a huge fire ravaged the mosque. Today, the structure is made of strong concrete. Bukidnon is located in the northern part of Mindanao and is a landlocked province nestled in a plateau and surrounded by seemingly endless hills and mountains. In fact, its name literally means “mountain dweller” or “highlander”. Because of its ideal location for farming and agriculture, it is considered as the Philippine “Food Basket”, boasting plantations of sugarcane, pineapples, and bananas, rice, and corn, to name a few. 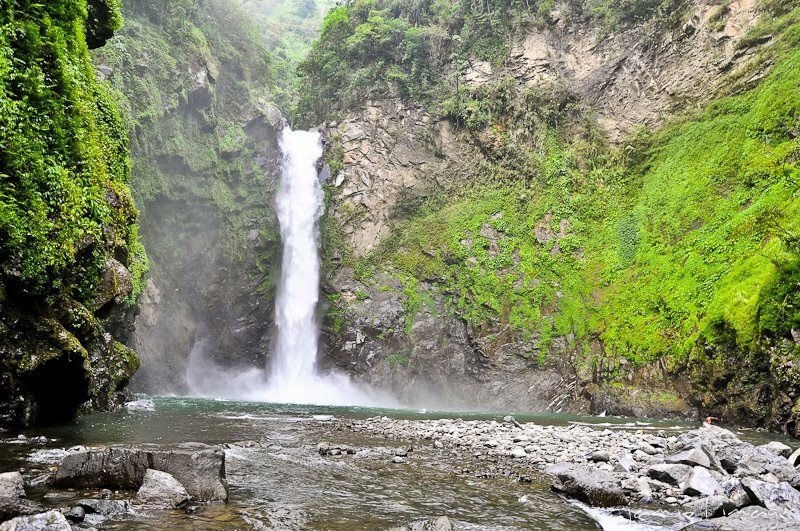 Traveling to Bukidnon can be a life-changing experience, especially because of what the province has to offer In terms of relaxation and outdoor adventure. Forest parks, caves, spring resorts, mountain views, mesmerizing falls, mystic caves, name it. This underrated travel destination has everything to satisfy your craving for fun and adventure. The most affordable way to get to Bukidnon is traveling by sea and then taking a car to get to your destination. The fastest way is to fly directly from Manila to the island’s nearest airport which is Lumbia Airport in Cagayan de Oro, and from there, take a bus to your destination. There are no direct flights yet to the province, given its challenging terrain. The Philippines is a destination that you can never get tired of and there are still hundreds of places that are just waiting to be discovered. Don’t finalize that bucket list first. Start doing your research and you’ll be surprised at what you can discover. Happy travels! Spending the precious moments with your significant other can be the happiest days that you’ll ever remember in your lifetime. While many couples have found ways to celebrate their love and affection for each other by exchanging gifts during special occasions or just hanging out together at their favorite restaurants, others have found joy and excitement in traveling together. In fact, traveling together as a couple should always be a part of your yearly plan. Aside from helping you get to know each other better, experiencing new things and exploring places together can help you create a stronger and more meaningful bond. Whether you’re planning to travel with your significant other or just wanting to spend a night or two for a sweet “staycation”, staying at the most romantic hotels in the Philippines will add more thrill, excitement, and romance in an already special trip together. 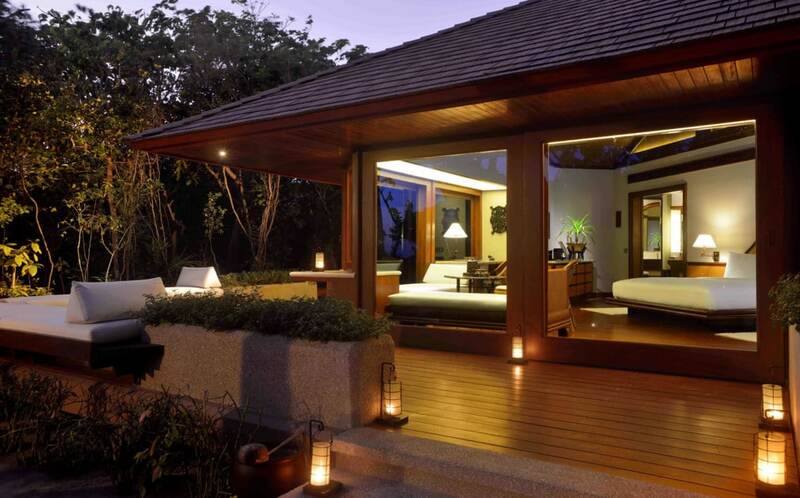 Here’s the list of the most romantic accommodations that you should check out. Located in the city of Manila, The Bayleaf Intramuros is a romantic hotel for lovers who want to experience the beauty and uniqueness of Filipino heritage and hospitality. Even in the modern age, the accommodation is a reminder of the long and aristocratic history of the Spanish occupation in the country. The hotel is actually housed within the strong forts of the Intramuros walls, a gem at the heart of Old Manila. While the accommodation boasts its rich and old heritage, their contemporary rooms provide an interesting balance to an already lovely and royal ambiance. From 2013 to 2016, The Bayleaf in Intramuros has earned the coveted TripAdvisor’s Travelers’ Choice Award. If your idea of romance is a day of endless adventure, then this hotel should be on top of your list. Located in Cebu, one of the best travel destinations in the Philippines, Plantation Bay Resort and Spa offers both charming and invigorating accommodation for couples who love culture, outdoor fun, and underwater exploration. Aside from the elegant rooms, they offer more than just rest and relaxation. 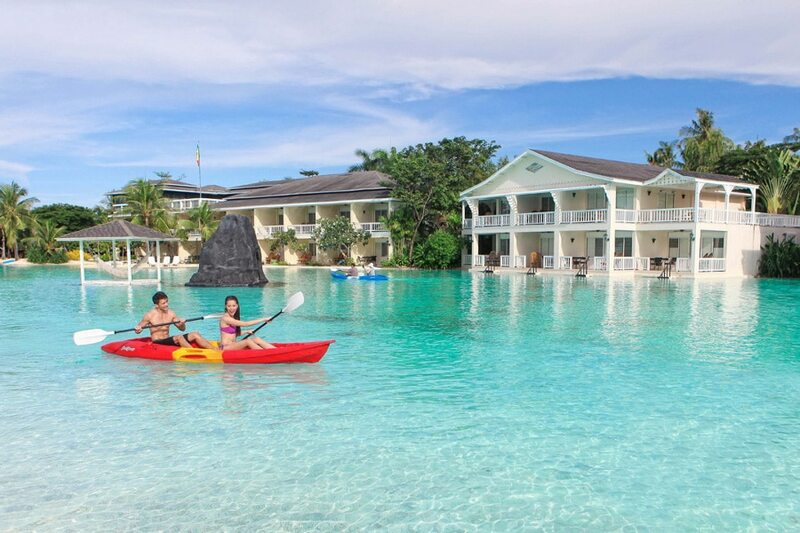 Within the resort are gaming rooms, and facilities that cater to outdoor fun: aqua rides, kayaking adventures, bird watching, and other sports activities. 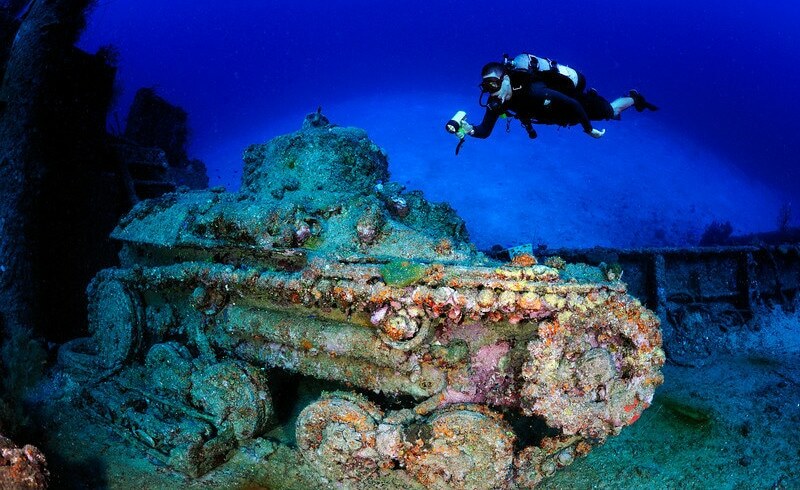 Moreover, there are nearby scuba diving spots outside of the hotel grounds. If you want a more relaxing outdoor activity, you can easily find picnic spots atop a hill and just spend the whole afternoon together. If you want to take the love of your life to a one-of-a-kind romantic “staycation”, then Hotel H20 is the place to go. So what makes it different from other hotels in the Philippines? Spending a night in this unique accommodation is just like sleeping underwater – and we mean this almost literally. 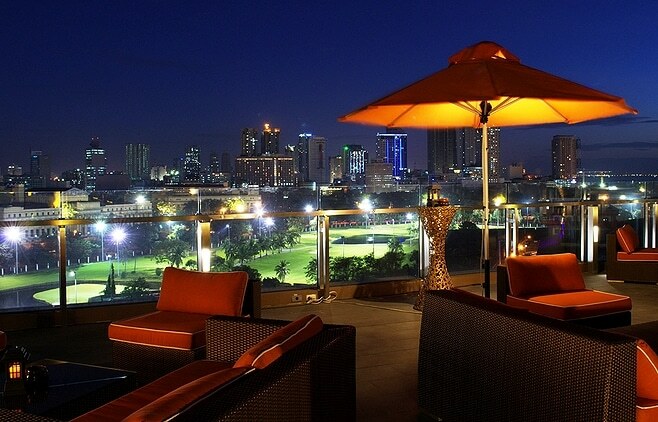 The hotel is near Manila Bay, and most of their rooms serve guests a majestic view of the Manila sunset. 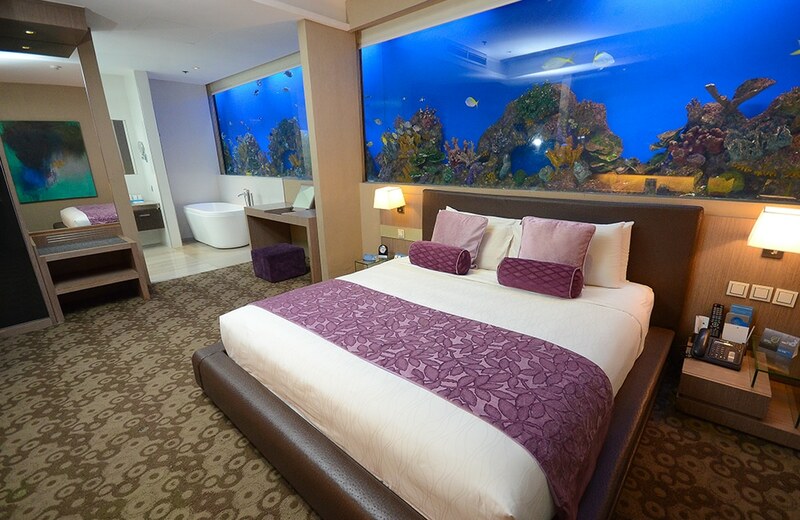 However, the more exciting part of choosing Hotel H20 for your romantic getaway is their marine-themed rooms: the AQUA ROOMS and BAY ROOMS. These Aqua Rooms, just like what their name suggests, has access to wall-to-wall aquariums where live and vibrant sea creatures like fish and jellyfish gracefully welcome guests. It’s like sleeping inside an enormous aquarium! 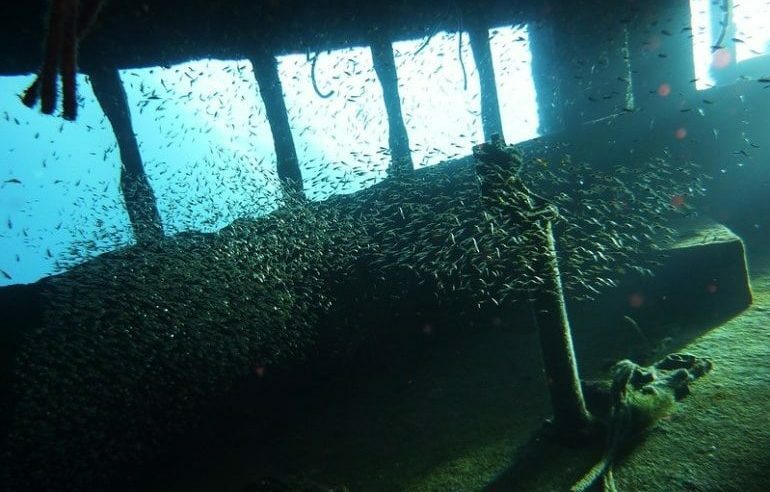 On the other hand, the Bay Rooms offer floor-to-ceiling aquarium glass windows, allowing you to experience a panoramic view of this underwater wonder. Cebu does not run out of amazing places to offer, and Marco Polo Plaza is a hotel that adds more romance and beauty to this already wonderful travel destination. Marco Polo is located in Nivel Hills – on an actual mountain slope, thus offering guests a full view of the vibrant beauty of the heart of the city. It is a 5-star hotel that will always be worth your money because of its mesmerizing and surreal mountain and beach view. Within the hotel is a buffet-style restaurant the serve mouth-watering dishes from local to foreign cuisines. Spend a night or two in this creative masterpiece of a hotel and you’ll surely win your partner’s heart the second time. Set in Makati, the business capital of the country, Picasso Boutique is an art lover’s paradise. Any couple who equates art to romance will always look at this unique accommodation as a rare find. Picasso Boutique has a lot to offer, including their cutting-edge décor and their memorably vibrant color schemes that will surely make an art enthusiast fall in love over and over again. Just like what its name suggests, the overall design is inspired by the art style of Pablo Picasso. As a garden villa resort, this hotel is a favorite for couples who want to have a nice and relaxing time near the beach. 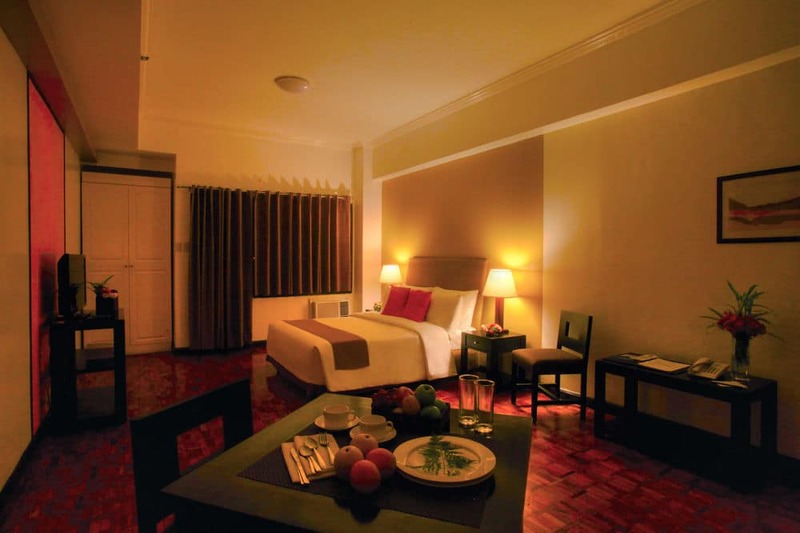 The accommodation is located in Cebu Province in the historic city of Lapu-Lapu. Spend a night or two at this accommodation to experience the calming breeze of the sea and the relaxing sound of the ocean. For lovers who want some privacy, they have a garden villa that offers a romantic and cozy ambiance that will surely make the trip unforgettable. 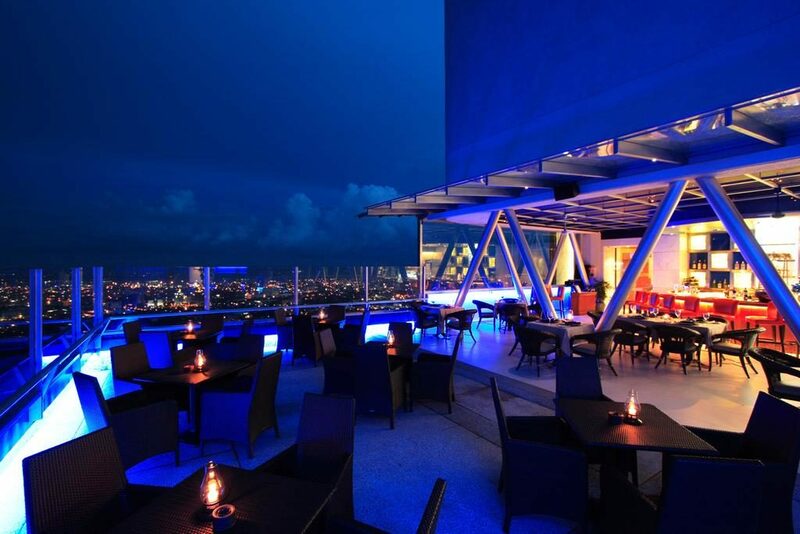 Since it’s a resort-restaurant, expect a variety of delectable food selections that offer both local and foreign menu. Bohol has a lot to offer when it comes to travel and adventure, but the region is also a popular destination for lovers who want to enjoy a relaxing weekend at the beach. In fact, several small islands surrounding the province host local and foreign travelers all year round. Eskaya Beach Resort and Spa, for instance, is a popularly known romantic accommodation in one of the islands of Bohol known as Panglao. The destination is a lovely and relaxing paradise for couples who put relaxation on top of their itinerary. Set in a remote island, Eskaya offers 15 villas, private pools, a picture-perfect infinity pool, and a long white-sand beach. Within the property is an on-site spa that offers Asian healing methods as well as European massage techniques. 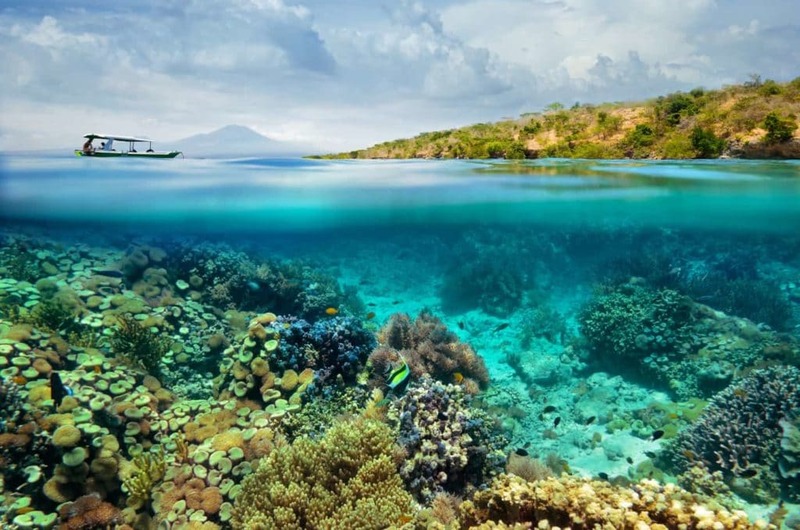 The Pamilican Island is located around the Sulu Sea. All of the visitors who will go on this island should ride a private plane. 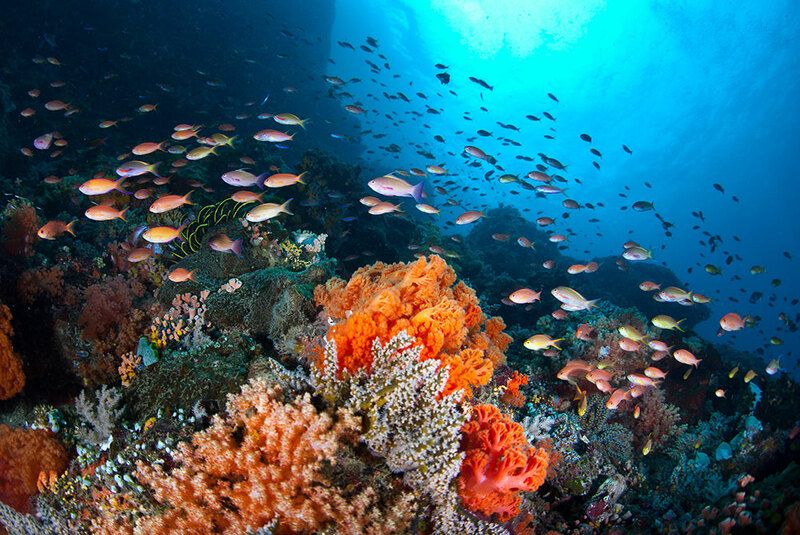 The hotel is located 2 kilometers to the Amanpulo Dive Center. The cottages here are made out of wood and has a space for a sitting area. If you are going to get a deluxe room, you can have an access to private pools and even have a beachfront setting. You don’t have to go out of the country just to have the most unforgettable time with your significant other. If you know where to find them, the Philippines has a lot to offer when it comes to the most romantic hotels and accommodations out there. Hopefully, this article will help you explore and experience the beauty of love and travel with the person you love most. 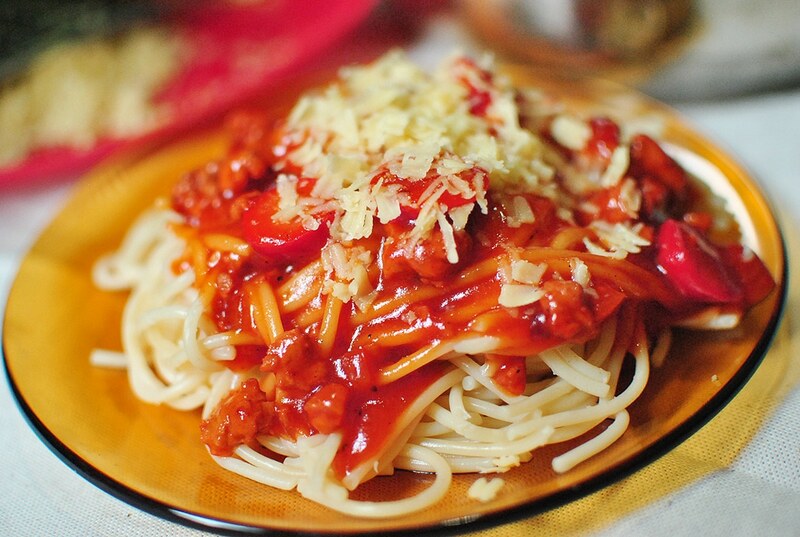 Filipinos love to eat and if they know any foreign friends who are planning to visit the Philippines, food adventures will always be an important entry in the itinerary. Its capital region, Metro Manila, is a buzzing metropolis composed of several major cities in the Philippines. 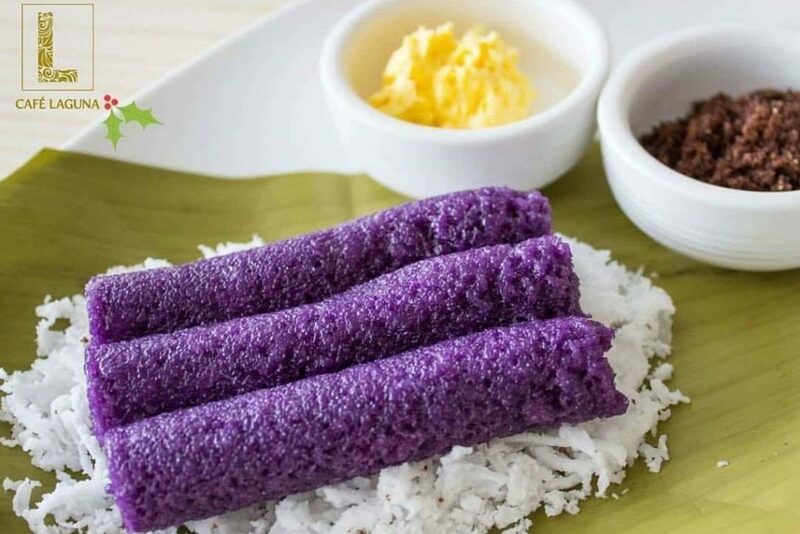 Being one of the most progressive and dynamic regions in the country, it is also home to several food destinations that warmly welcome tourists and satisfies locals to the true taste of Filipino and international flavors, without breaking the bank. 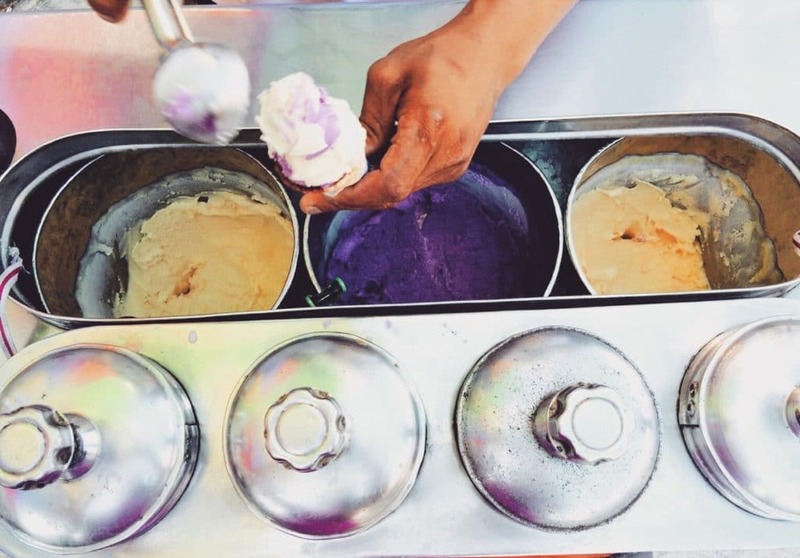 If the metro will be your first stop, here is a list of the cheap and delicious restaurants to try in Metro Manila. 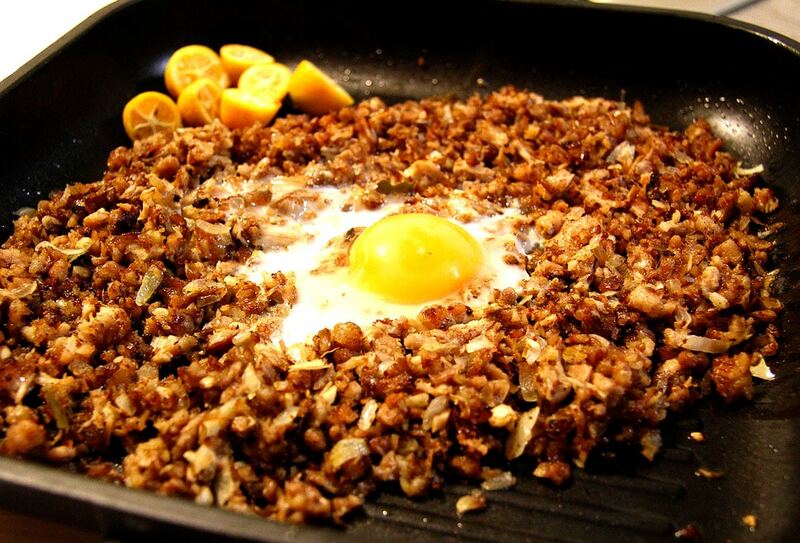 If you want to have a taste of the world-famous Filipino tapsilog (tapa or cured beef, sinangag or fried garlic rice, and itlog or sunny side egg) then Rodic’s Diner should be on top of your list for the must-try budget-friendly restaurants in Manila. Aside from their ­“silog” meals, they also serve other Filipino food choices like caldereta, lechon-paksiw, and many more. 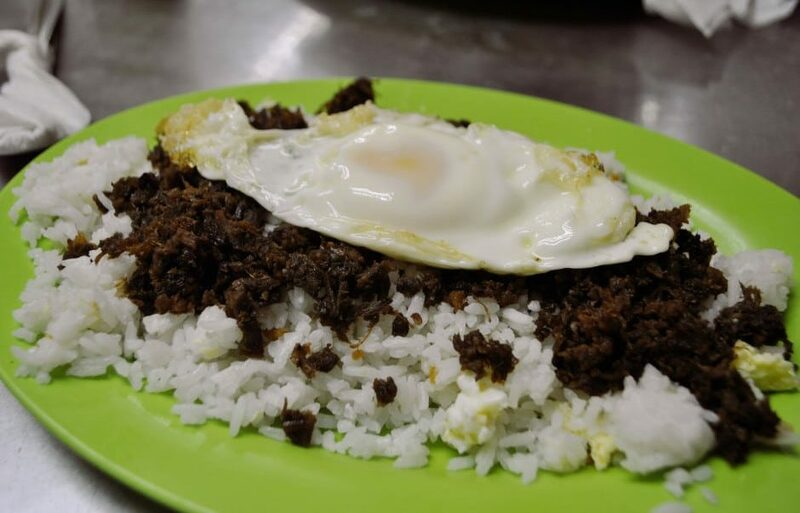 Rodic’s Diner has been around since 1949 with their original location inside the University of the Philippines campus, Diliman in Quezon City. However, a devastating fire destroyed the entire UP Shopping Center that housed several commercial establishments including the said diner. 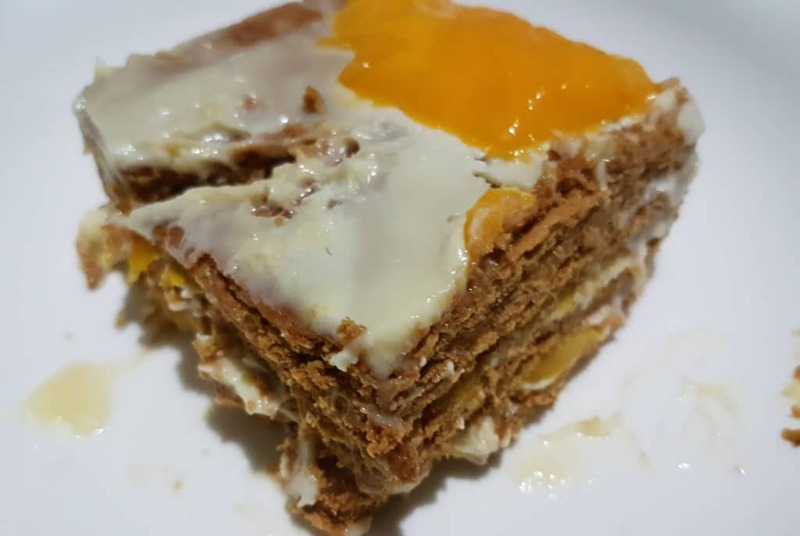 If you’re a big fan of breakfast meals and 24/7 food spots, then this affordable breakfast place in Metro Manila is perfect for you. 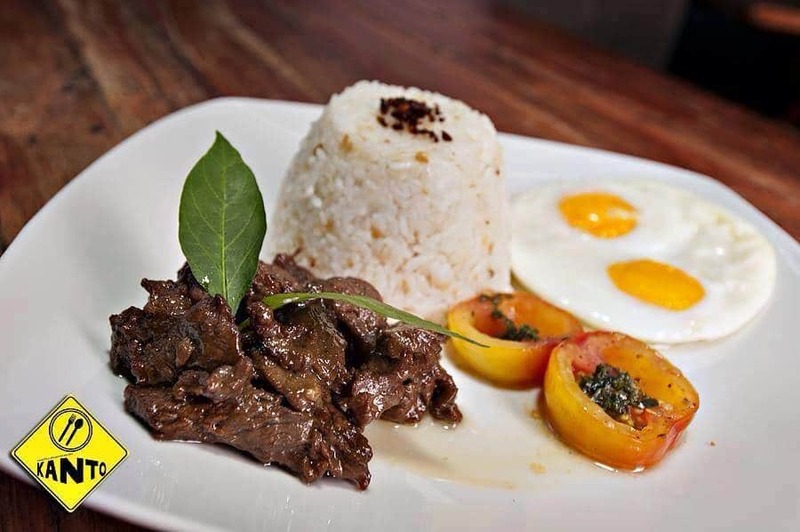 Kanto Freestyle Breakfast is located at the center of Manila City, Malate, one of the busiest places in the metro. What is so different about this place is its long list of menu, offering several Filipino breakfast items to satisfy your cravings – and to even get you ready for a long day of exploring the big city. Some recommended food choices are their Batangas beef tapa (cured beef) and their famous Honey Garlic Chicken. If you’re craving for some authentic yet affordable Japanese food in Metro Manila, then head over to SM Megamall in Mandaluyong. This humble Japanese restaurant has been a go-to place for many Filipinos who want to taste the oriental flavors of Japanese cooking – without breaking the bank. 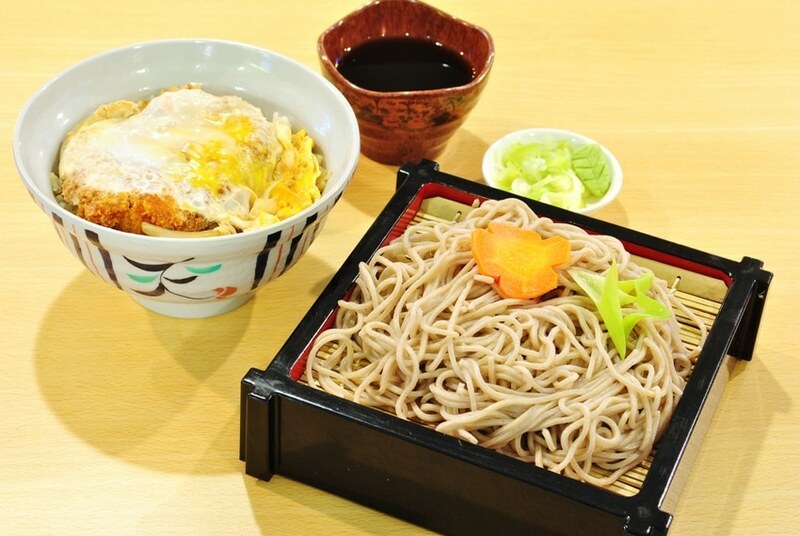 Several food items that you can choose from include common Japanese dishes like Donburi, Sukiyakidon, selections of sushi and sashimi, gyoza, miso soup, ramen, udon, and more. Greg & Sally’s place is located in a not-so-typical restaurant setup. In fact, it’s more like your grandmother’s garden, with blooming flowers and strong and sturdy trees surrounding the dining area. In fact, it is located in one of the greenest and most peaceful cities in the metro, Marikina. 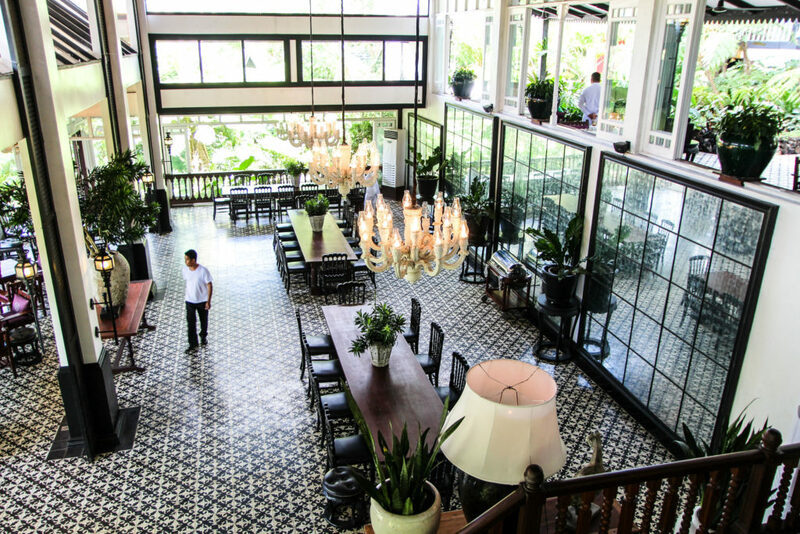 The restaurant serves several creative takes on Filipino comfort food and offers a relaxing experience among the greenery of this hidden foodie gem. While outdoor dining is the highlight of this place, they also have indoor dining areas for a more private gathering. If you’ve been to Singapore, the name Bugis might be familiar to you. Actually, the food place got their name from a major hawker street in Singapore, giving customers an idea of what they have to offer: a wide selection of Singaporean street food. Experience the Singaporean flavors with a dash of Filipino hospitality in this affordable Quezon City restaurant. The place offers a variety of dishes like Laksa, Hainanese Chicken, and other hawker-style selections. For beverages, they also have several fruit juices to quench your thirst from devouring the flavorful dishes in front of you. Yes, you read it right. You can experience the flavors of the famous Bacolod Chicken Inasal (roast chicken) even in Metro Manila, thanks to Bacolod Chicken House Express’ original and authentic menu. 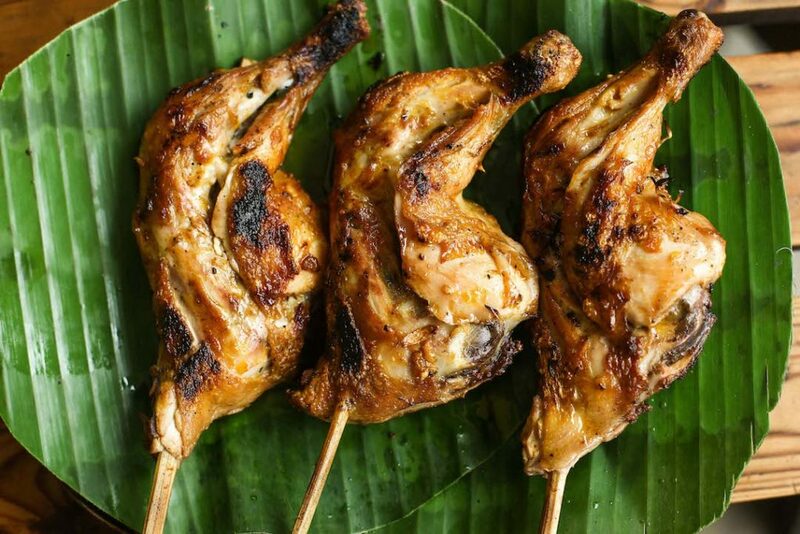 Bacolod Chicken Inasal Express has their main branch in Bacolod City, but the success and popularity of this restaurant enabled it to branch out and conquer the Metro Manila food scene. For the best experience, choose the leg part paired with their garlic rice, and dip them in the spicy and zesty combination of vinegar/soy sauce with calamansi and chili. You don’t have to spend a fortune just to try the juiciest and meatiest steaks in Metro Manila. 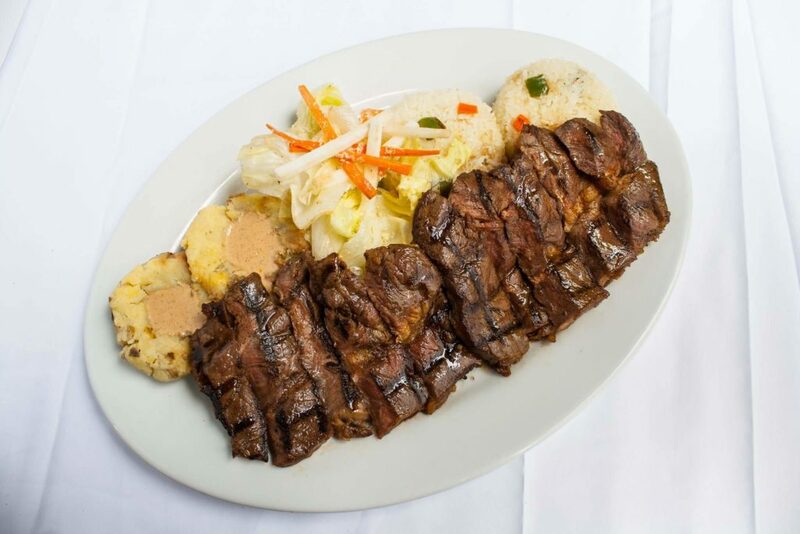 If you’re an avid meat lover and want to experience a filling yet affordable steak meal, Mad Mark’s is the place for you. 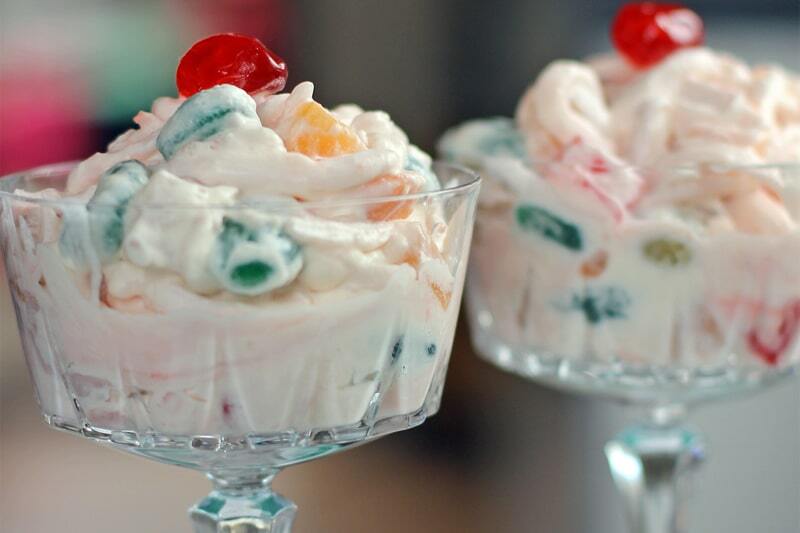 Aside from their delicious and tasty steaks, they also have dessert in the menu – and it includes a special home-made ice cream. While this place has several branches in Metro Manila, you’ll find their original location always packed and fully-booked during rush hour. 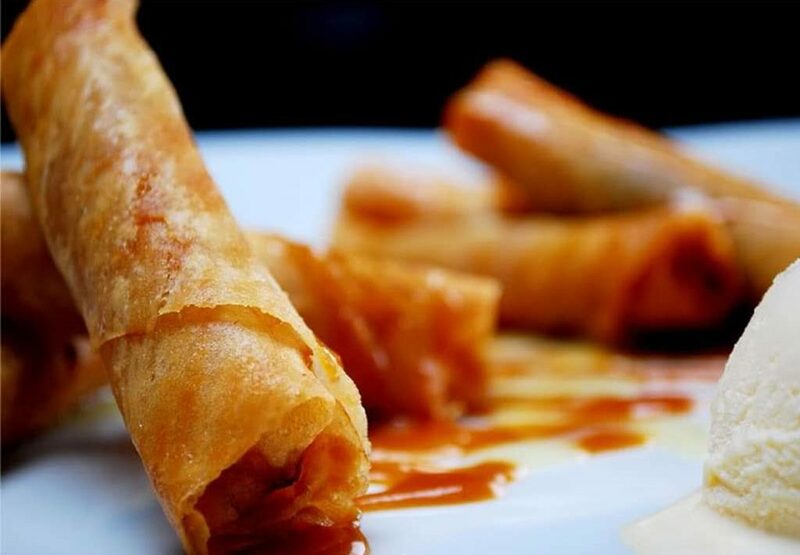 No, you’re not imagining things – Hawker Chan, the world’s most affordable Michelin-starred restaurant owned by Michelin star chef Chan Hong Meng, is now in the Philippines. This formerly hidden gem in Singapore has finally spread its wings and opened several branches in Asia, and Metro Manila was lucky enough to be one of its new homes. 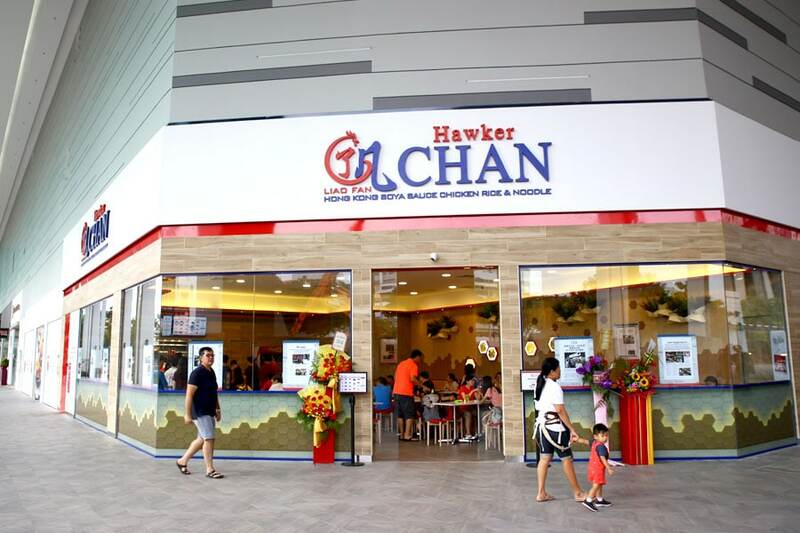 So what food should you order when you visit Hawker Chan? Of course, it should be their Soya Sauce Chicken and Noodle – the winning dish that made all of these possible. 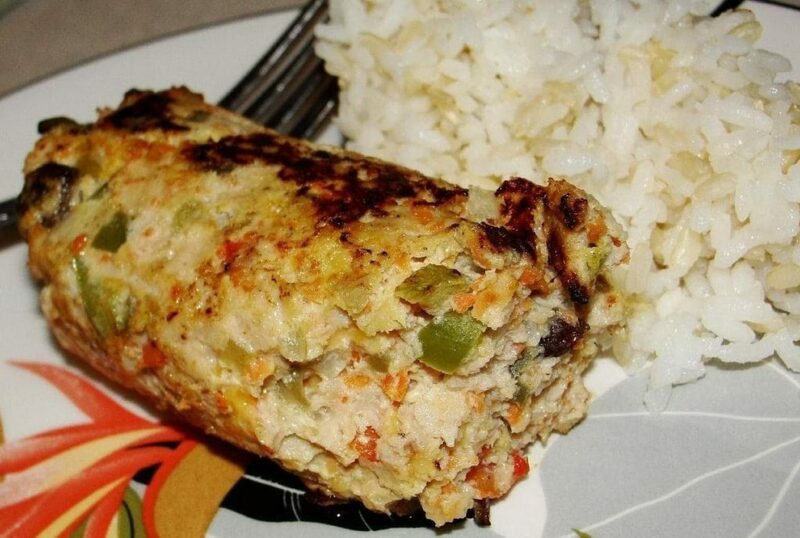 You can also combine this soy-based chicken dish with other food staples like rice. 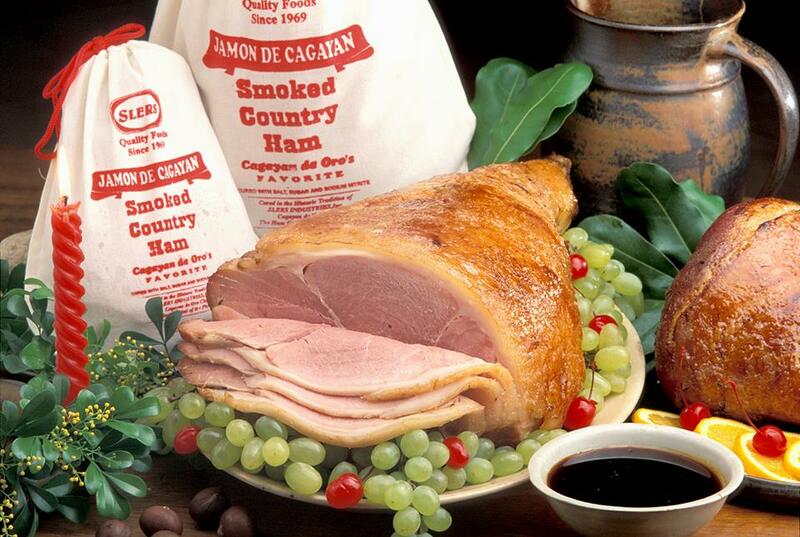 Other options also include roasted pork as well as a deliciously flavored pork rib dish. So, there you have it: the most affordable food places in Metro Manila that you should never miss. 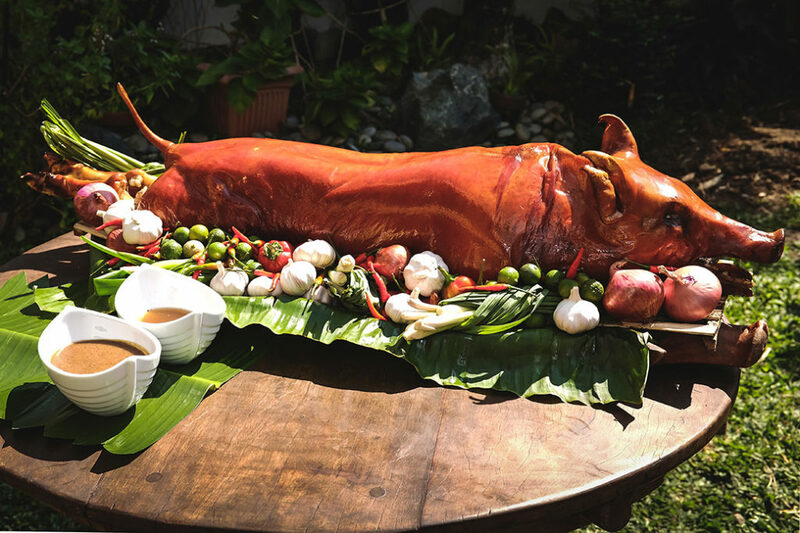 Hopefully, this article has helped you navigate the culinary wonders of this major Philippine region. Have fun and bon appétit!